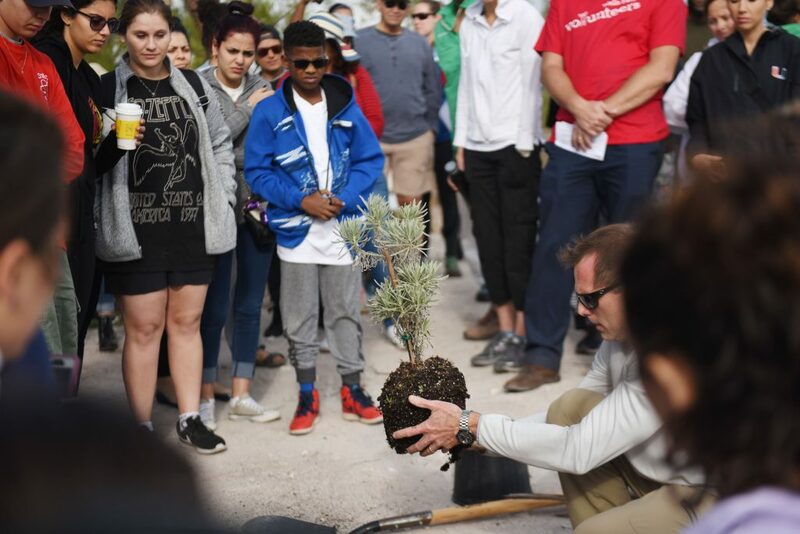 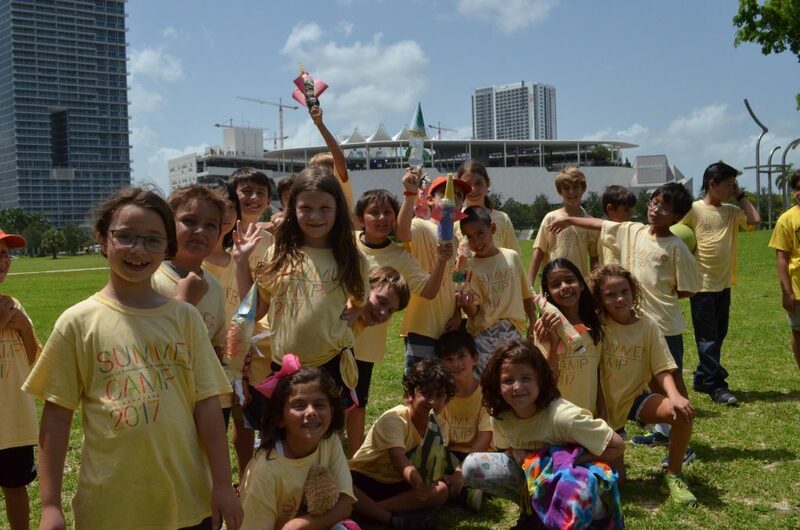 On May 8, 2017, we opened our doors to the community, unveiling our new campus in Downtown Miami’s Museum Park. 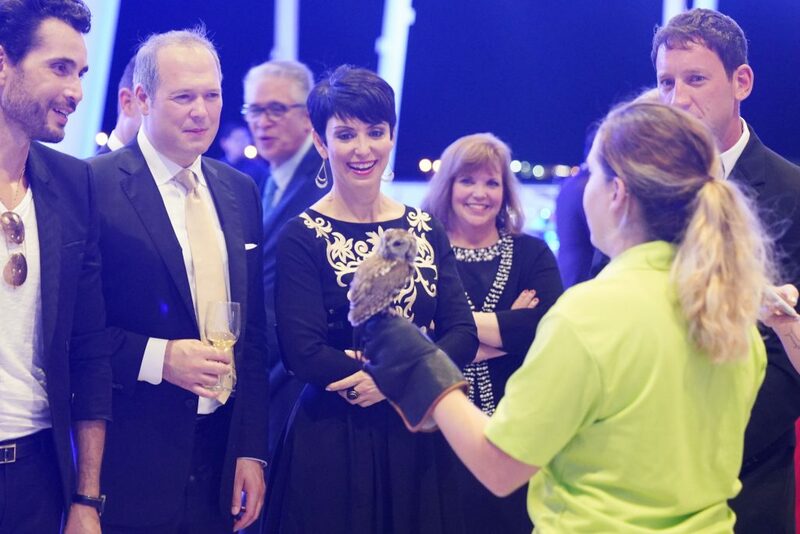 It’s hard to believe that it’s been a year since that memorable day—and what a year it’s been! 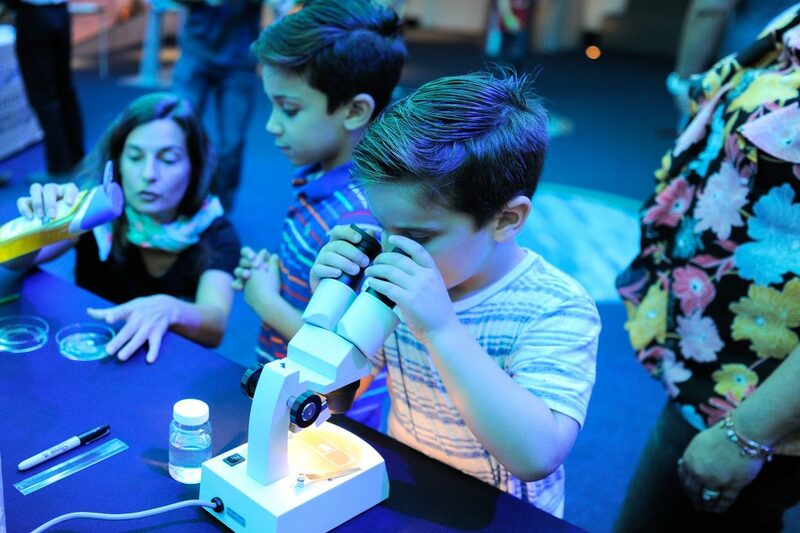 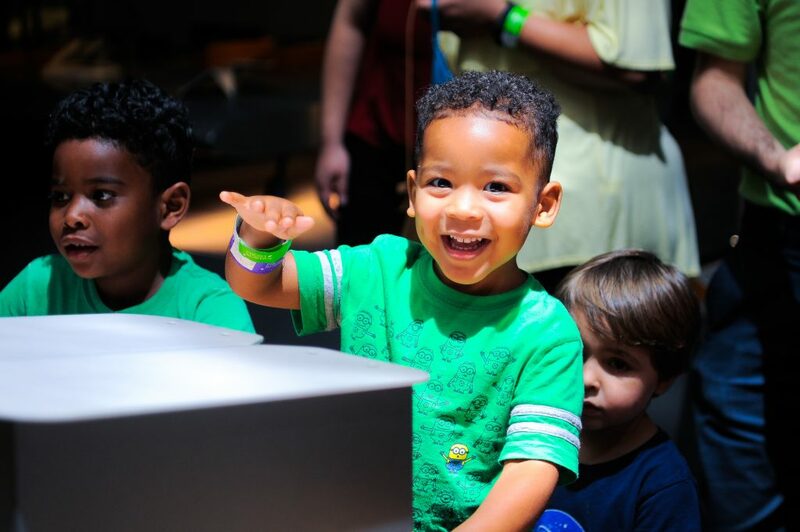 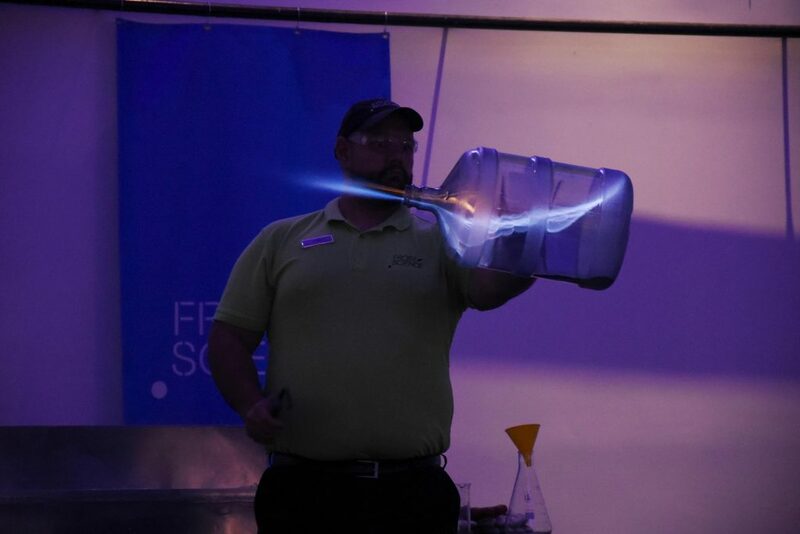 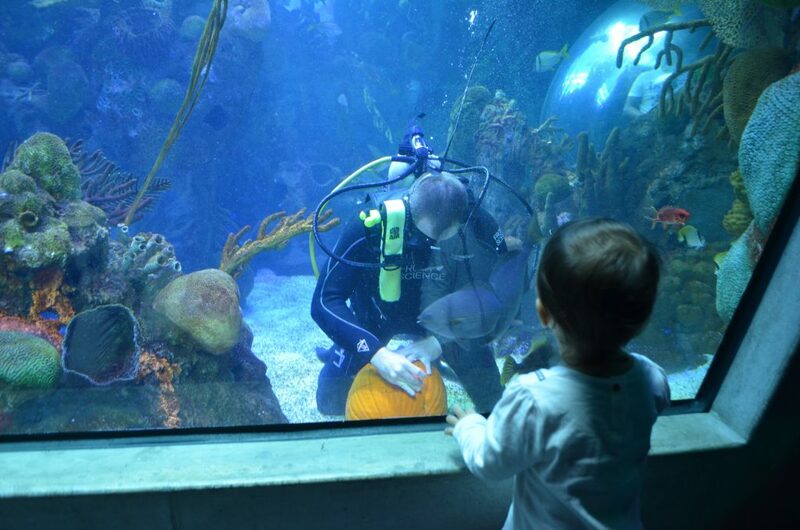 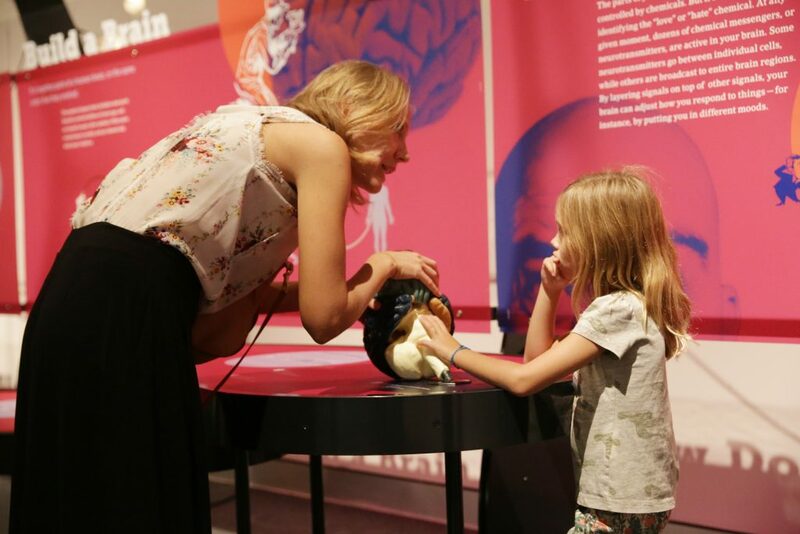 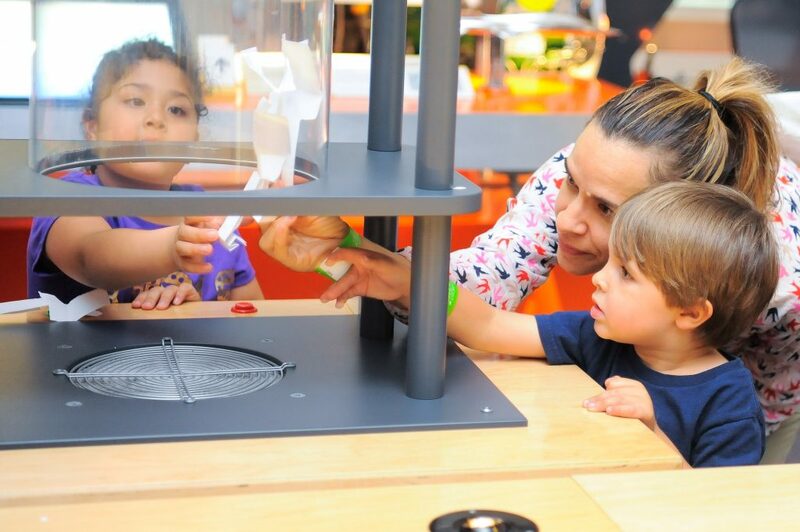 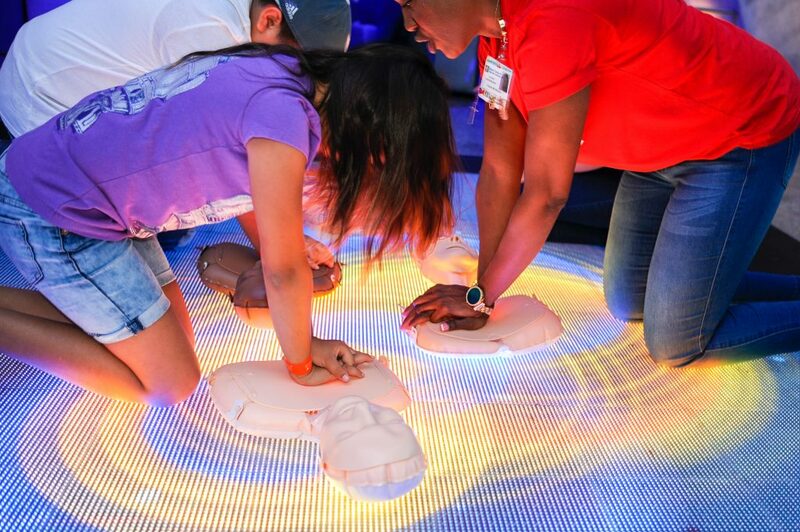 Sharing the power of science with our community has been an extraordinary experience as we’ve already welcomed over 910,000 total visitors through our doors. 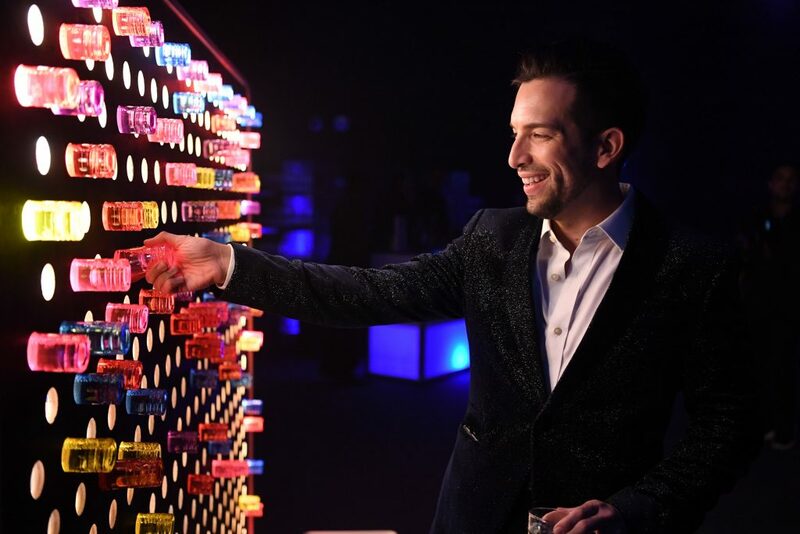 Let’s take a look back at some of the most remarkable moments of the past year. 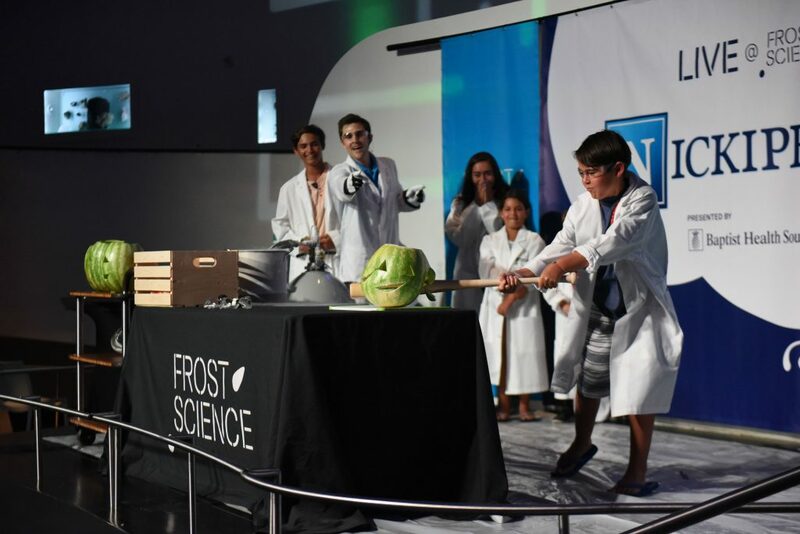 Over 750 guests came to help us kick-off our opening festivities on Saturday, May 6, 2017—the first ever Frost Science fundraiser on our new campus. 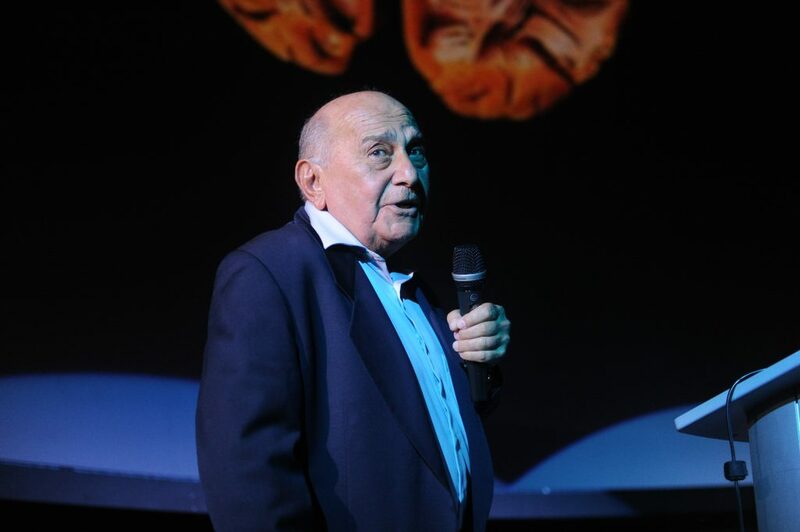 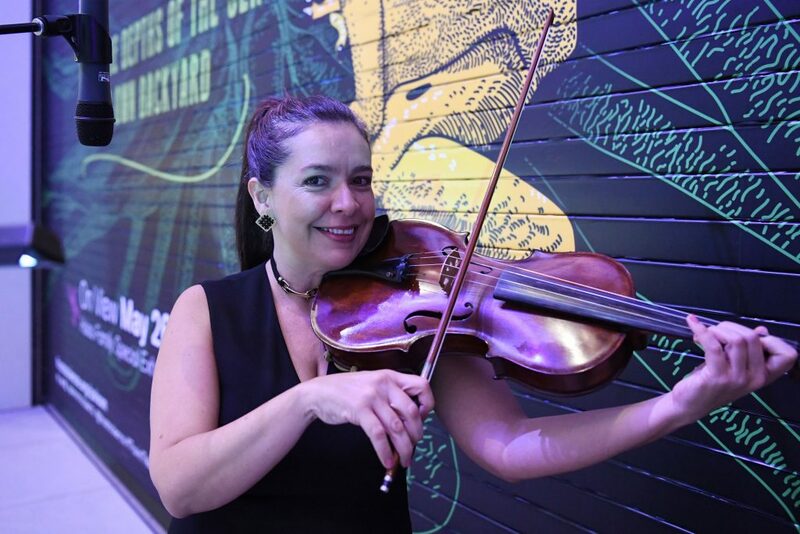 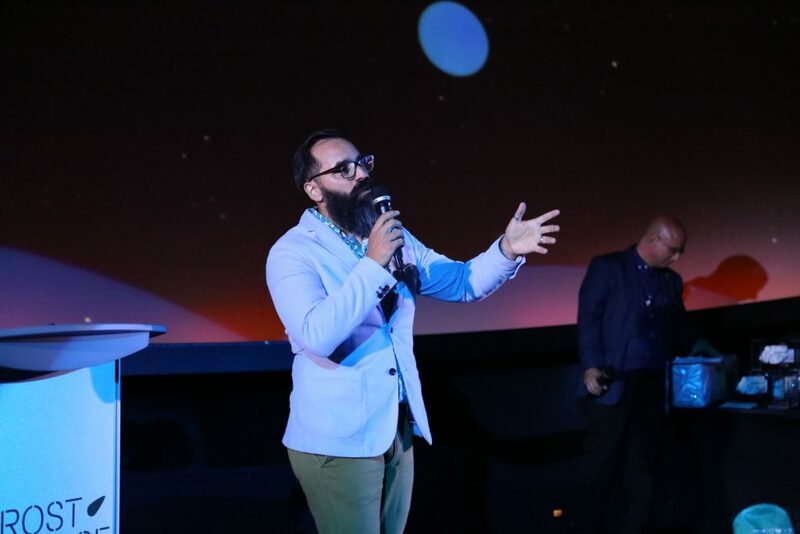 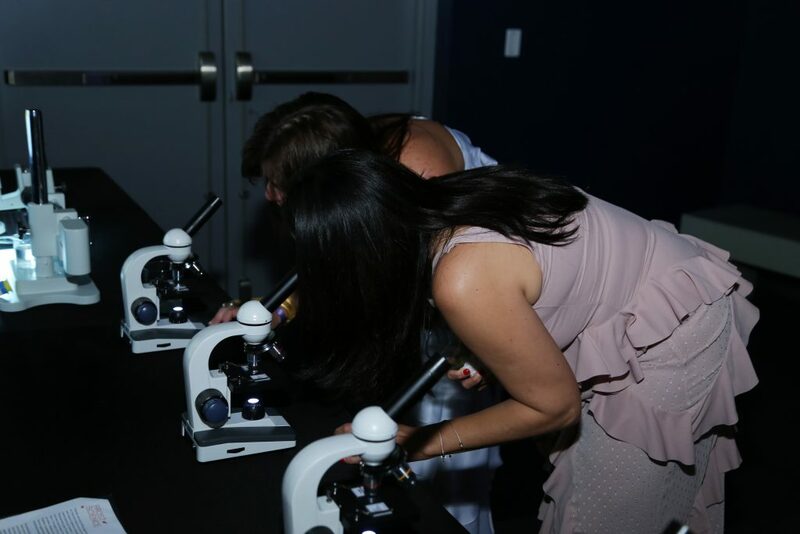 The evening, which raised $1.2 million for the museum, was filled with dining, drinking and dancing amongst floating comets, showering bubbles and crystals inspired by underground caves. 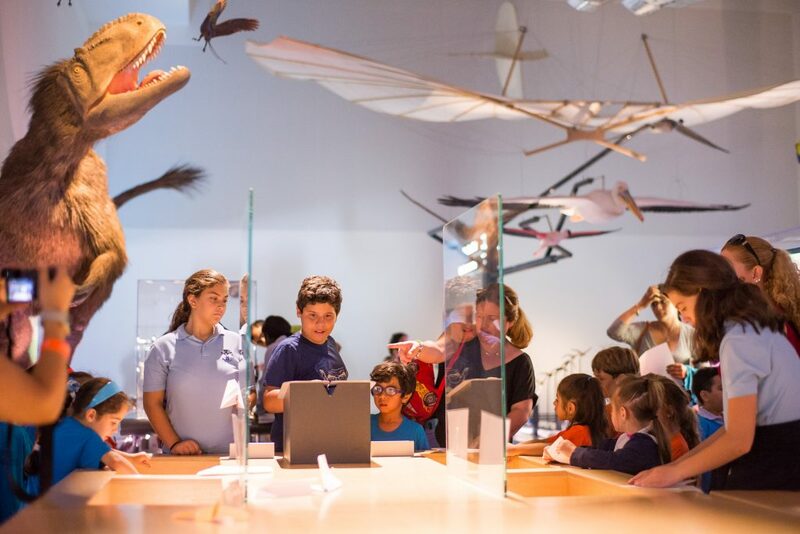 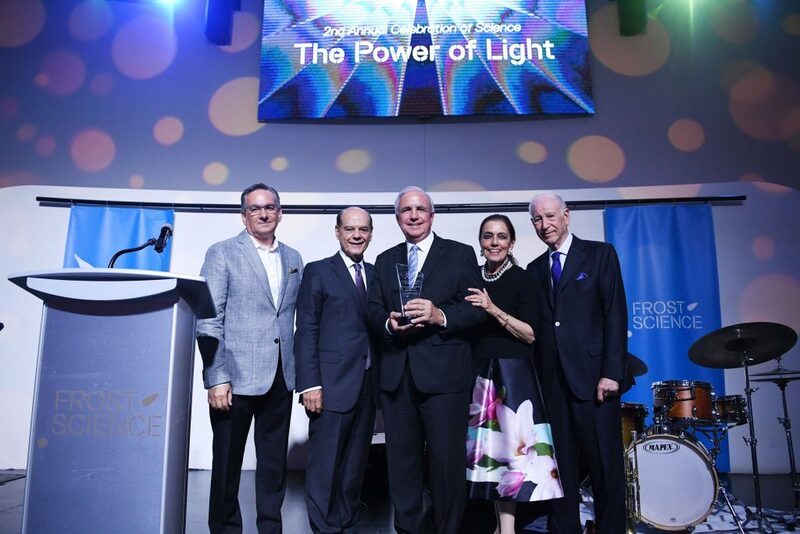 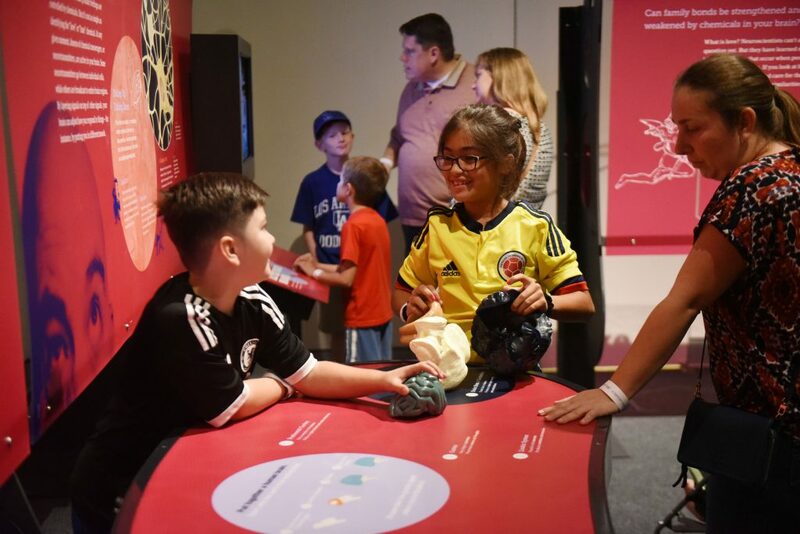 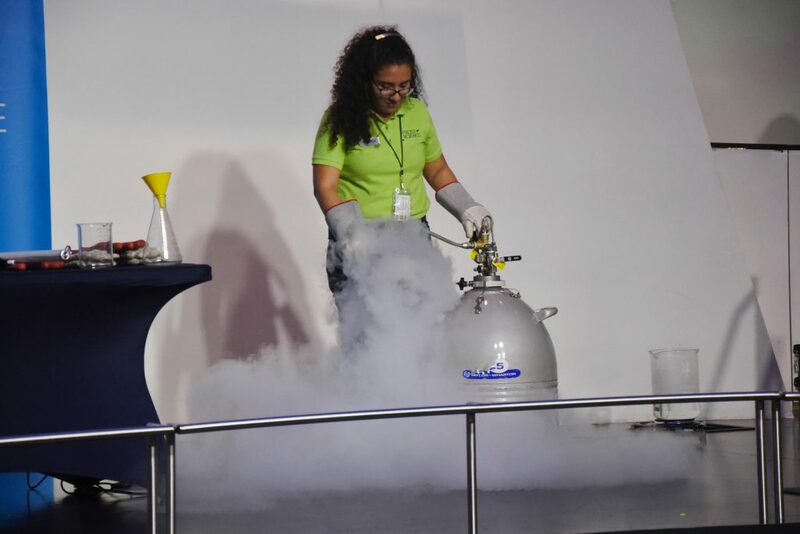 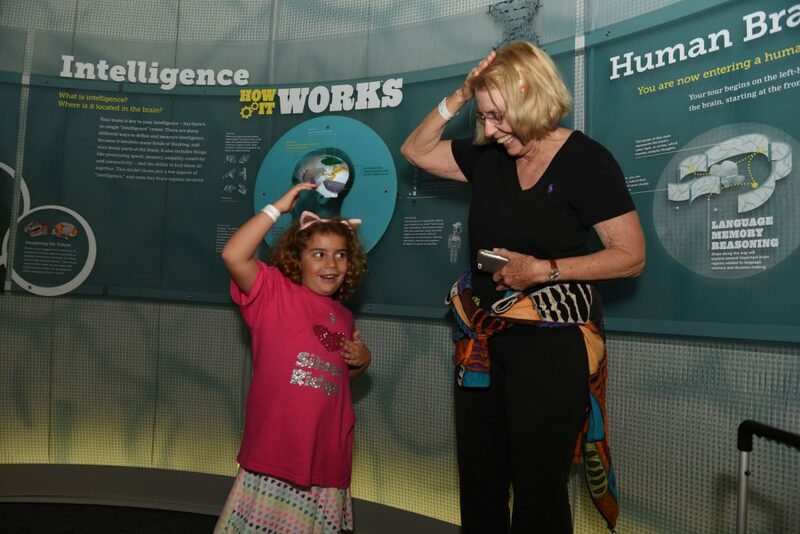 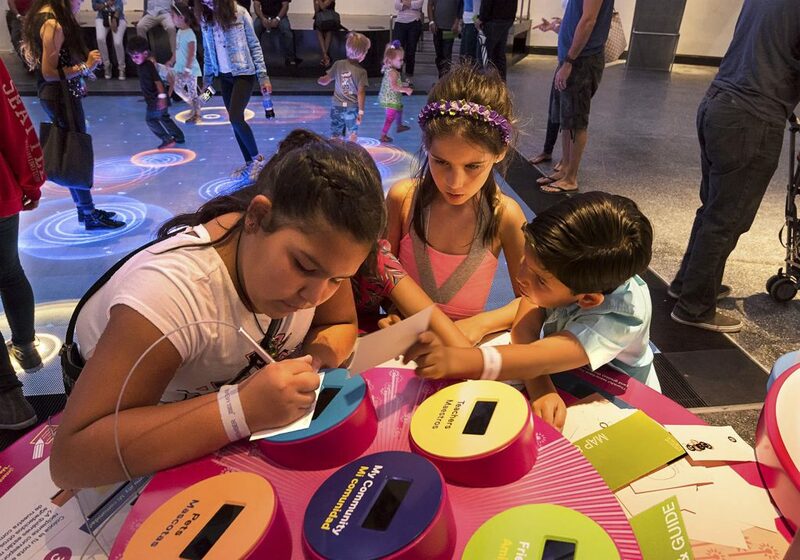 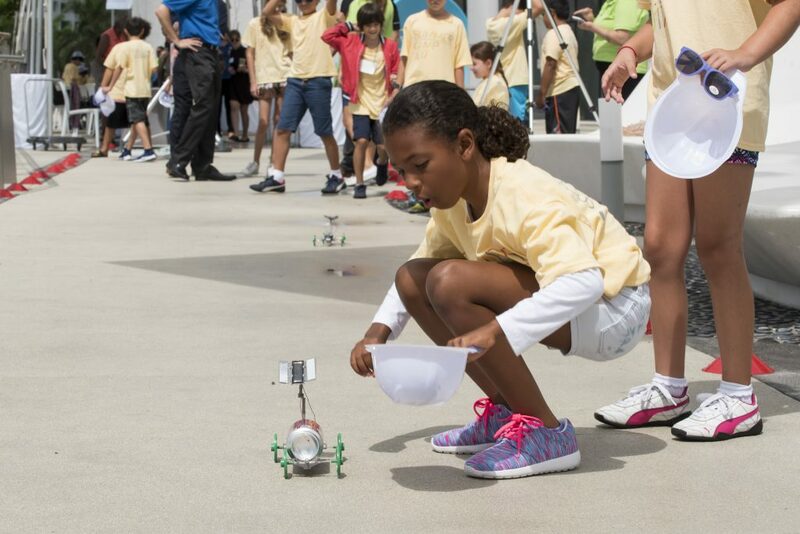 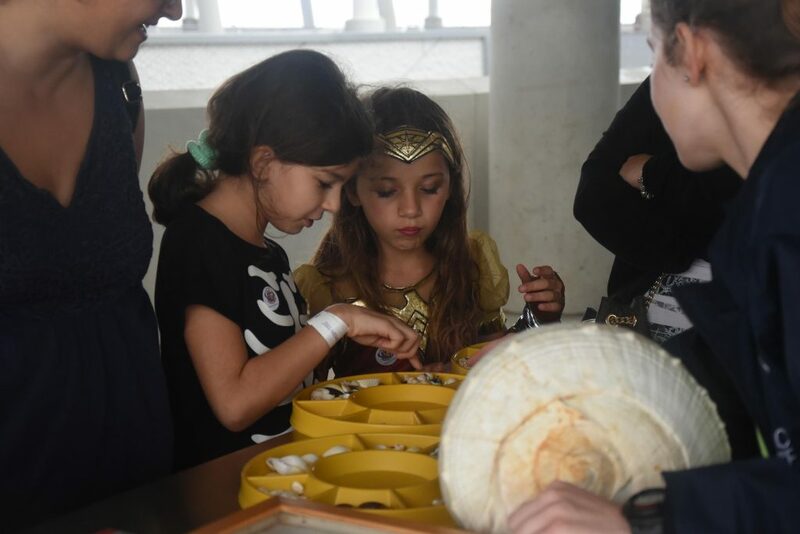 After a ribbon cutting ceremony on Science Plaza that officially declared May 8 as Phillip and Patricia Frost Museum of Science Day in Miami-Dade County, we opened our doors to the public. 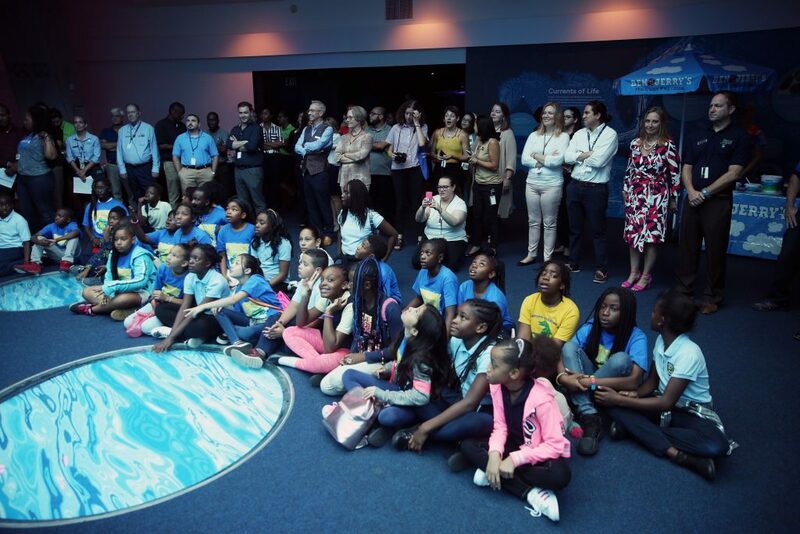 The day welcomed notable guests such as Mayor Carlos Gimenez, State of Florida Congressman Mario Diaz-Balart, Miami-Dade County Commissioner Audrey Edmonson, City of Miami Commissioner Ken Russell and Miami-Dade County Public Schools Superintendent Alberto M. Carvalho. 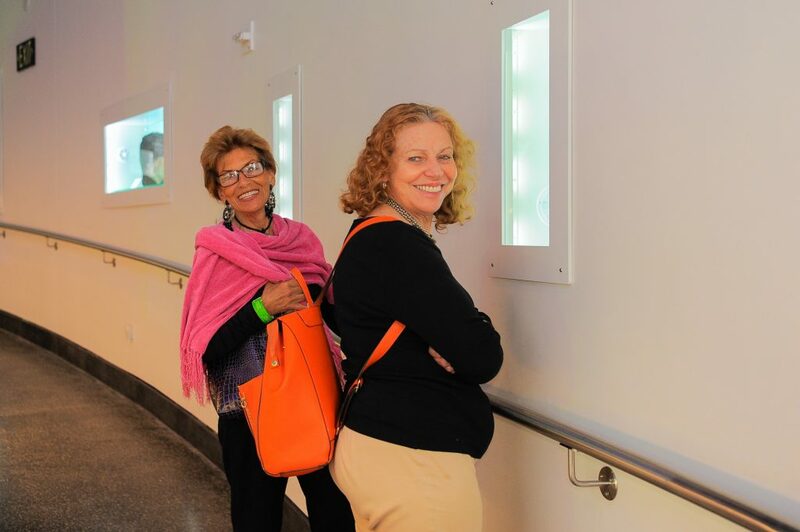 Ticketholders anxiously awaited the 11:00 a.m. opening in a line that wrapped around Knight Plaza for their first experience inside our new campus. 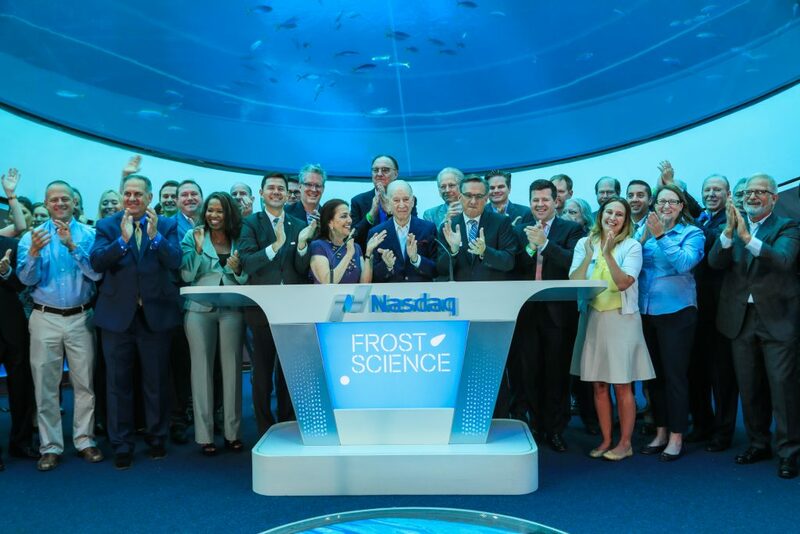 A few weeks after opening, we made our Wall Street debut as Dr. Phillip and Patricia Frost, along with Frost Science President Frank Steslow, rang the NASDAQ Stock Market Opening Bell from the museum. 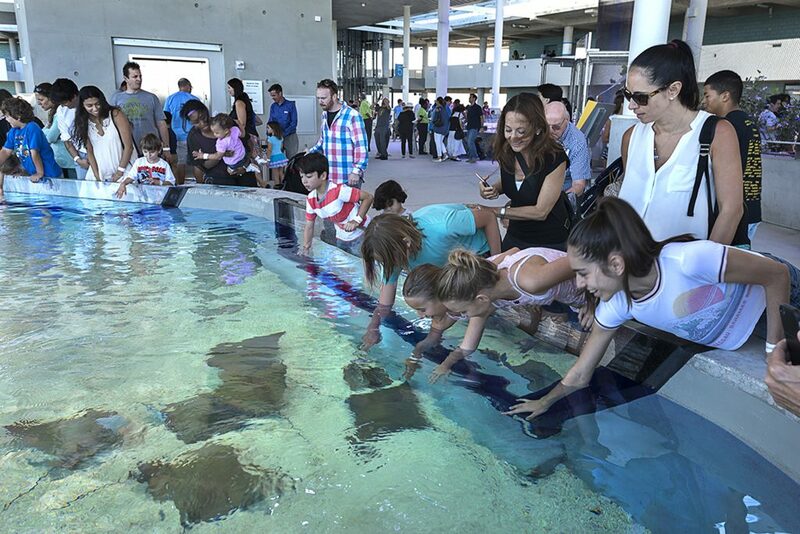 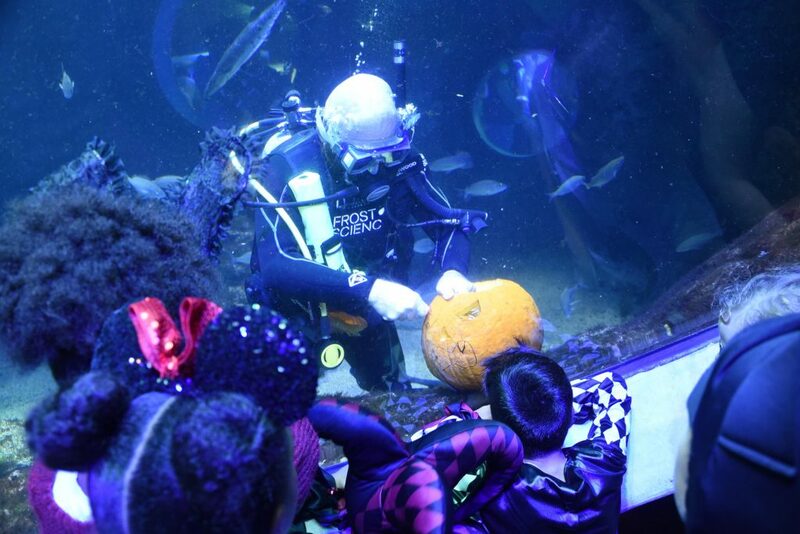 One of our hammerhead sharks couldn’t resist getting in on the action, too—she made a brief appearance in the Oculus soon after the ceremony. 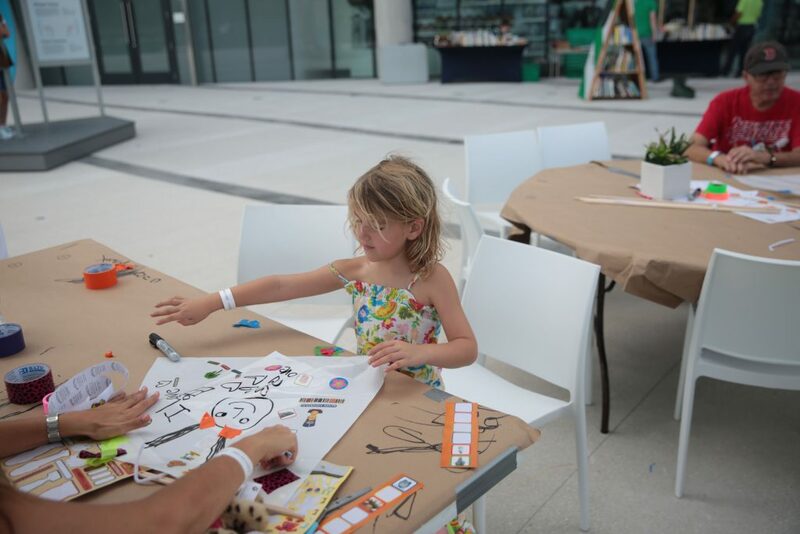 Our inaugural Summer Camp season at Museum Park was a blazing success! 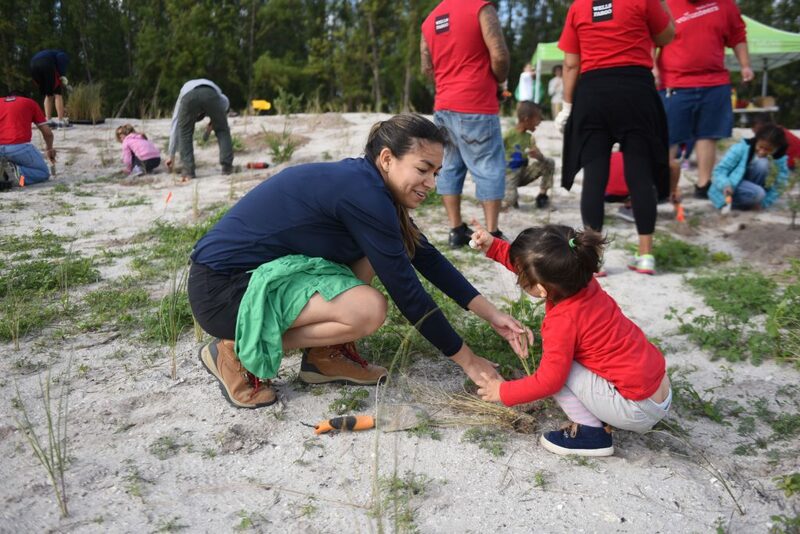 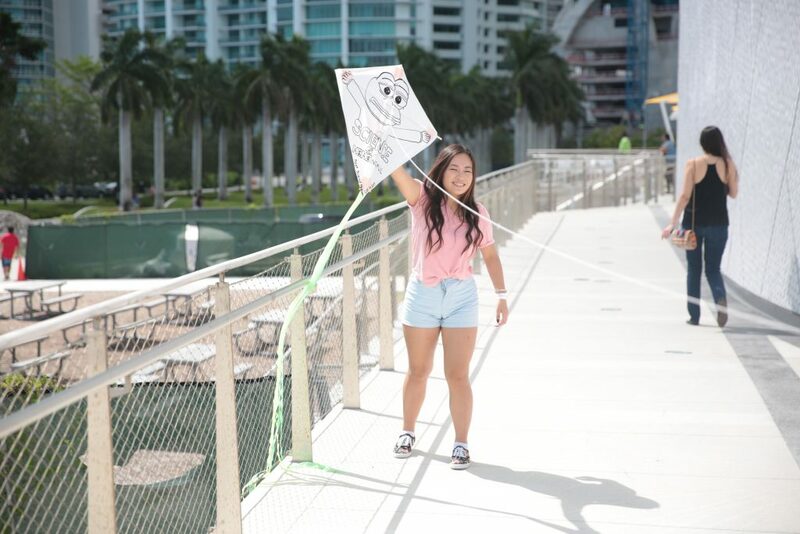 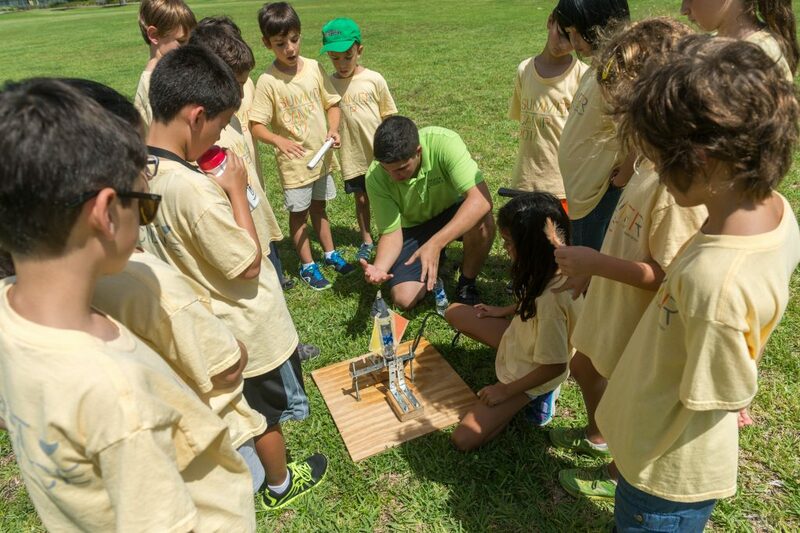 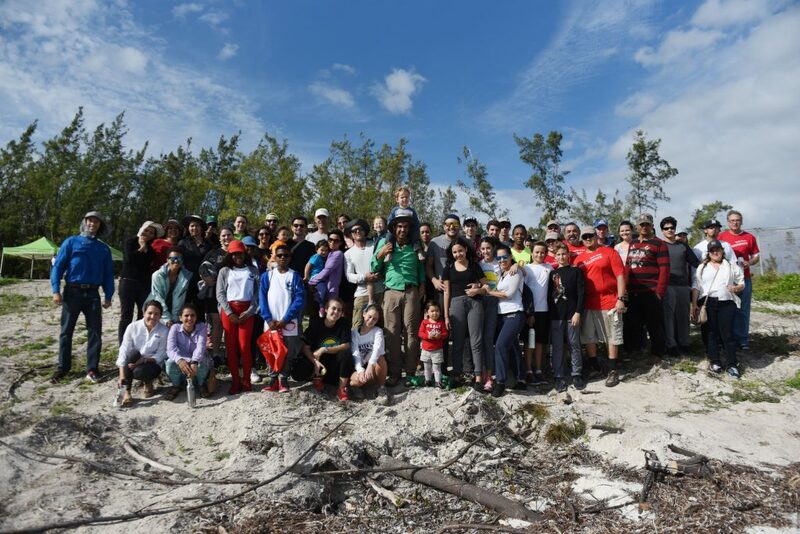 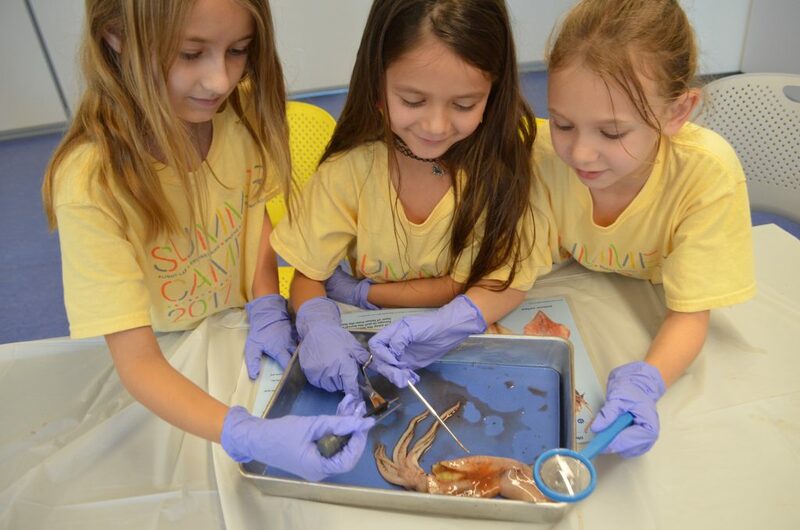 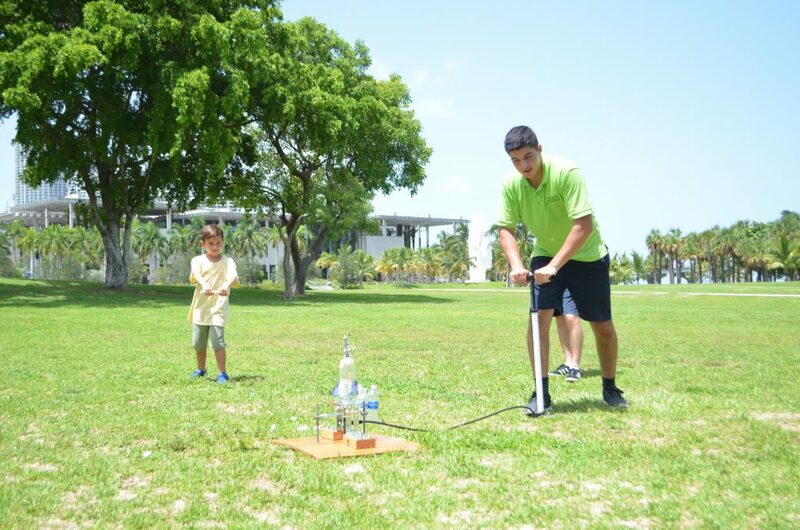 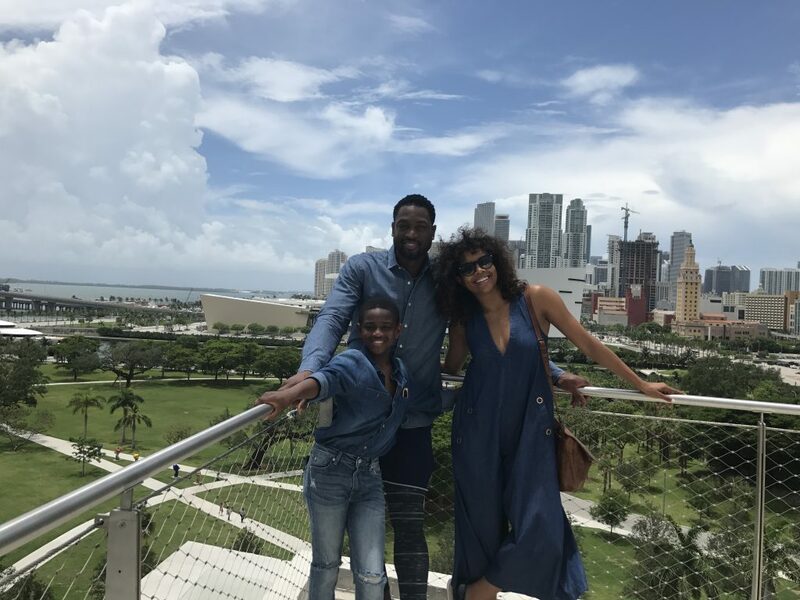 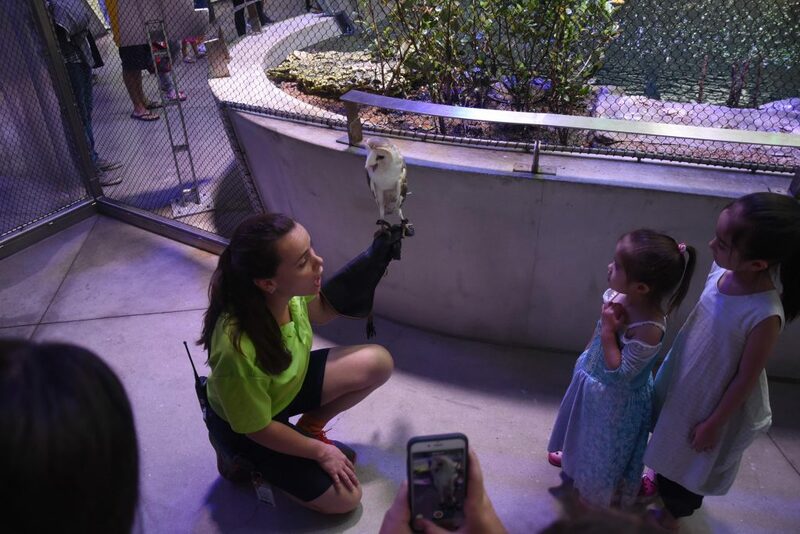 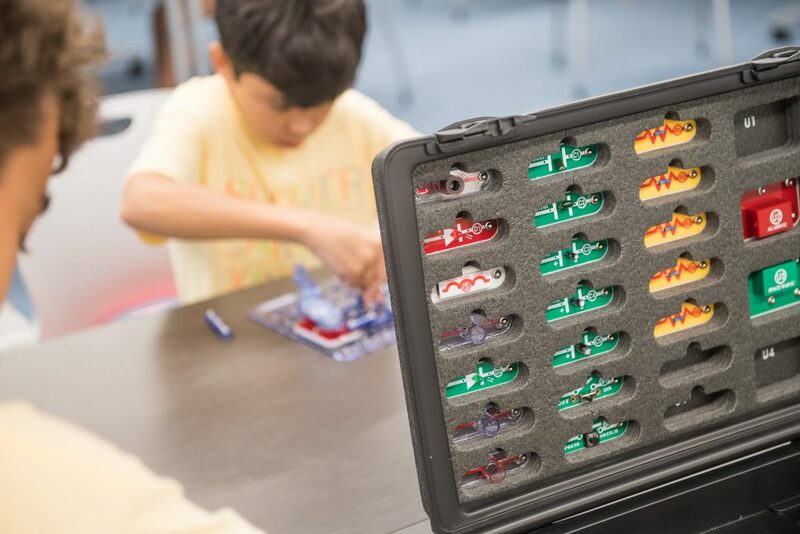 We hosted two summer camps last year—an eight-week session for 2nd-5th graders and one-week Outdoor Explorers program that took 6th-8th graders on an adventure through different ecological sites in Miami-Dade County. 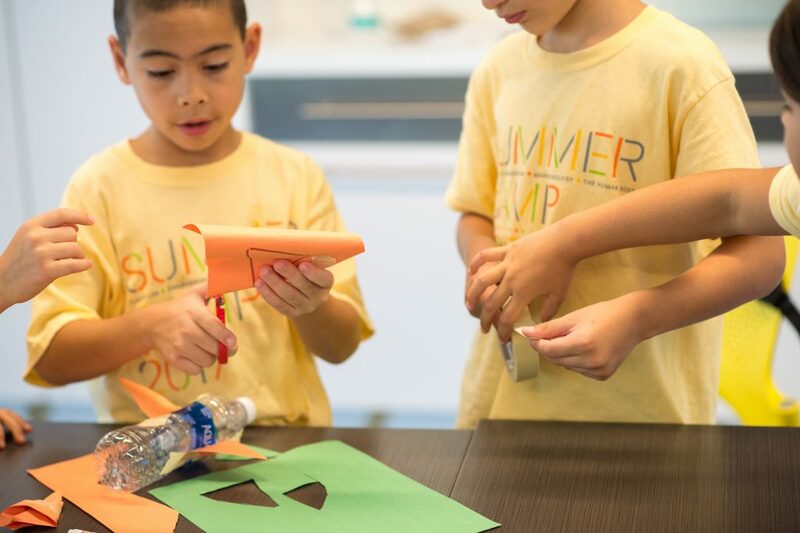 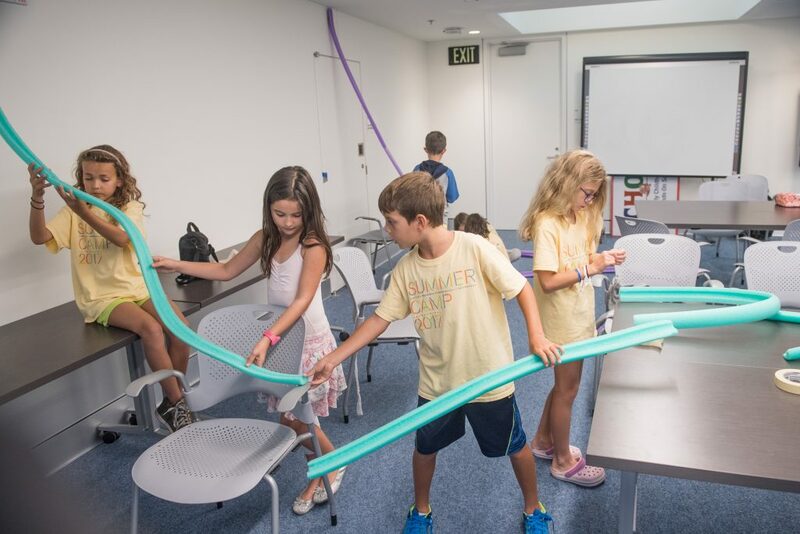 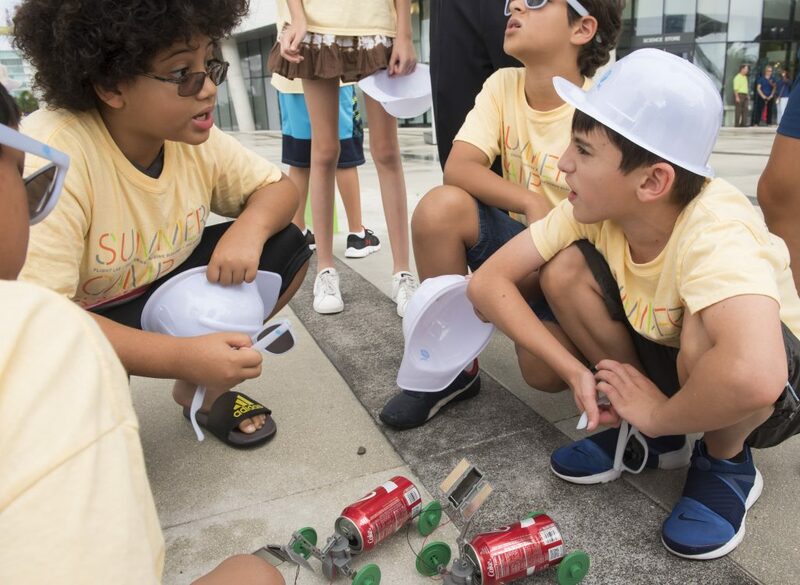 All our campers got hands-on with the science behind engineering, sharks, flight and the human body while forging long-lasting friendships. 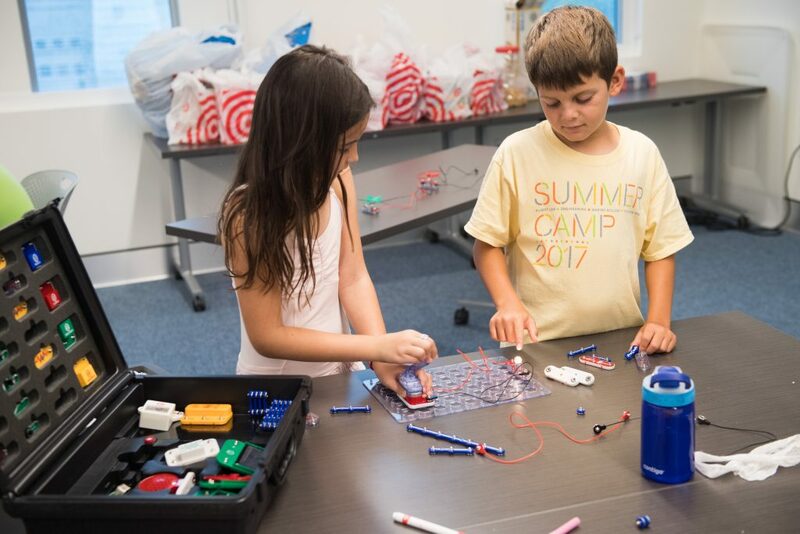 We also launched our first Winter and Spring camps, and our day-long Mini-Camps, which offered parents an exciting (and educational!) 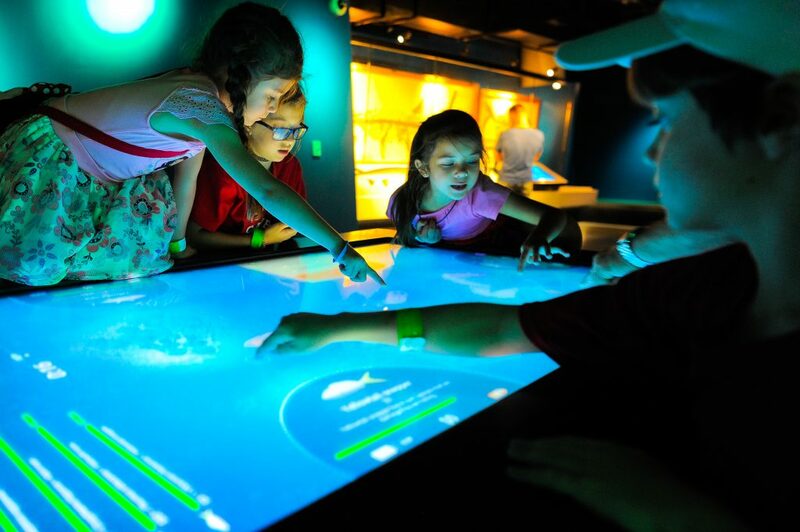 solution to those Teacher Planning days. 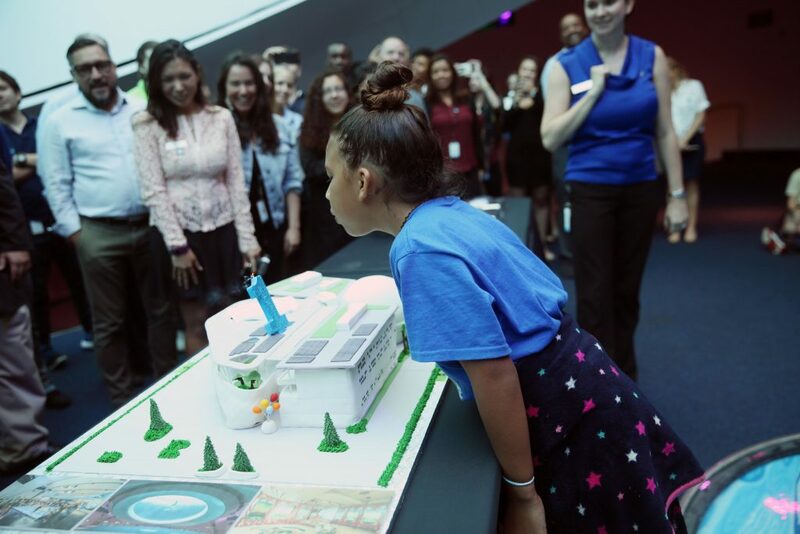 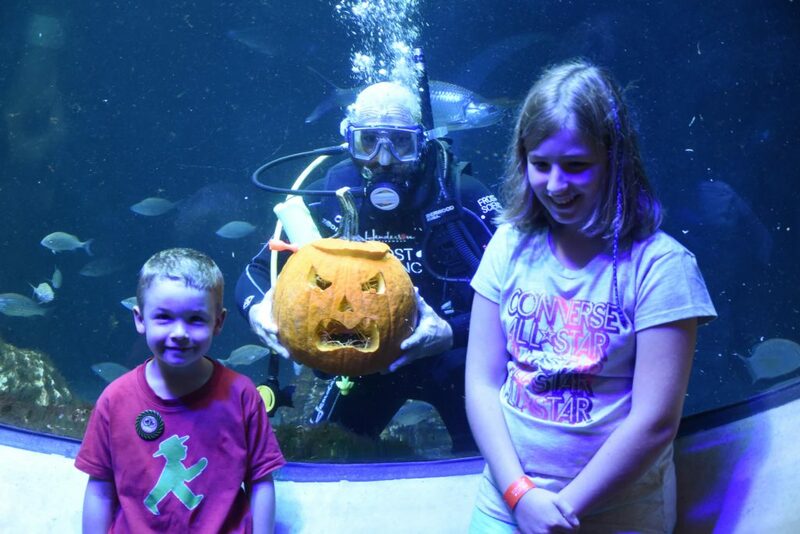 We’re proud to say that over 4,000 guests have visited the museum for birthday parties and camps this past year alone! 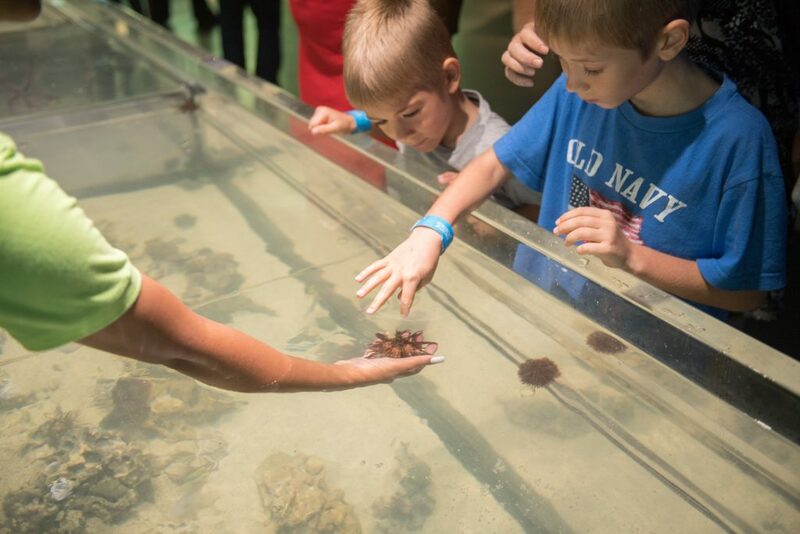 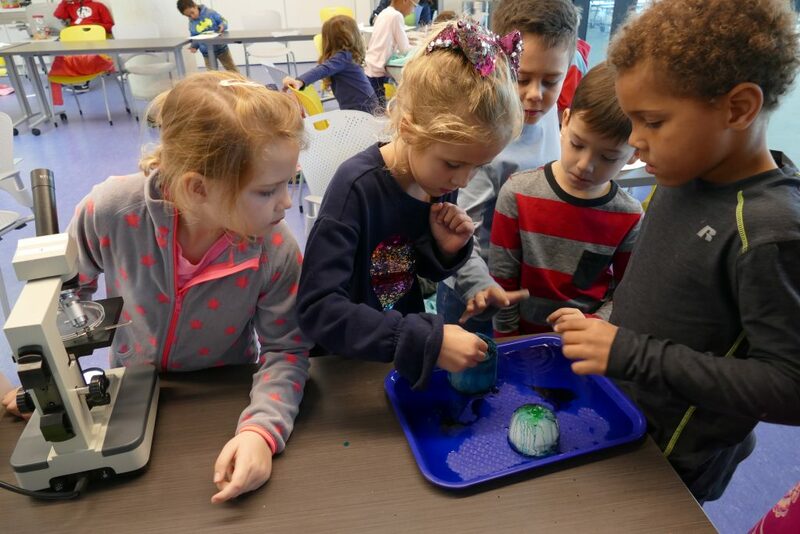 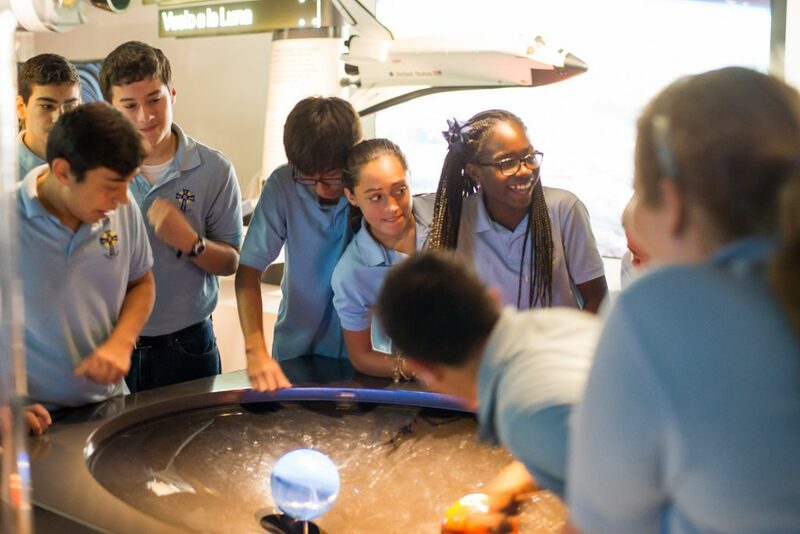 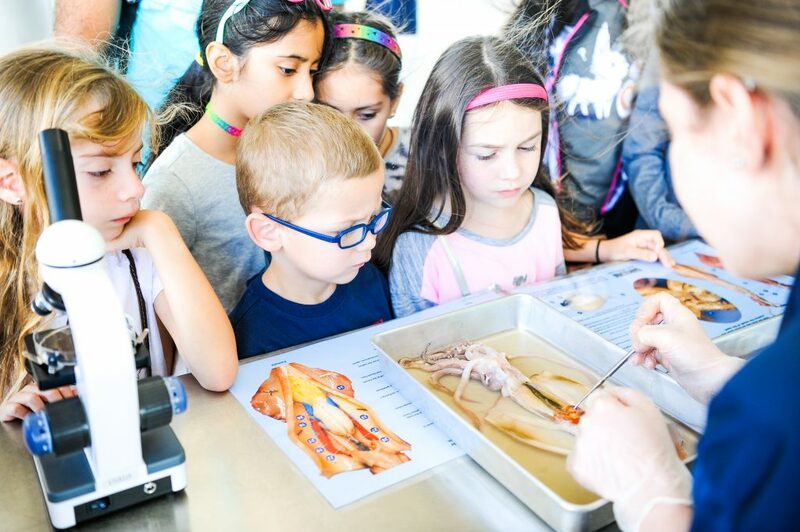 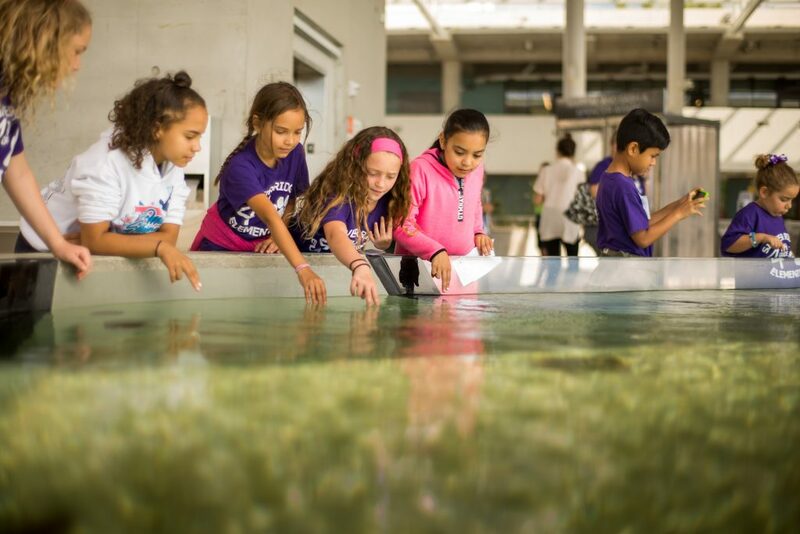 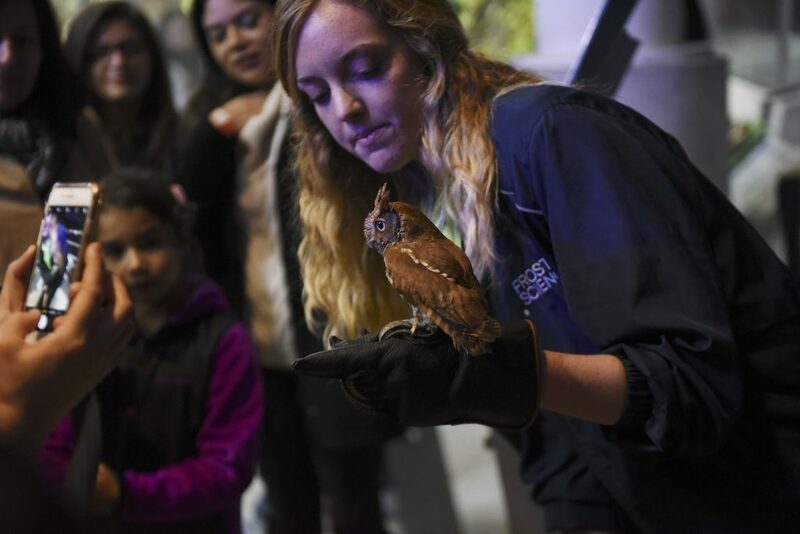 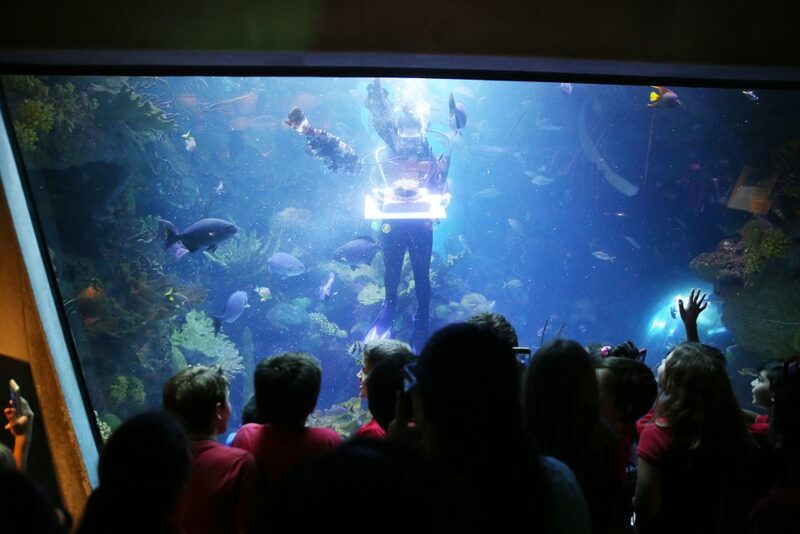 We’ve also welcomed over 72,000 students and teachers through our doors for a day of science-based learning through our engaging field trips program. 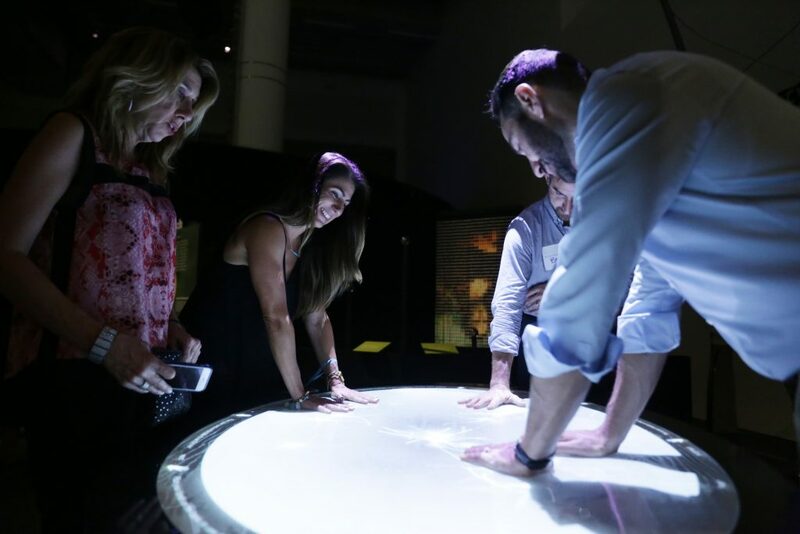 This year, we launched LATE, a new after-hours series that invited the community to take a deeper look at the scientific wonders within the museum. 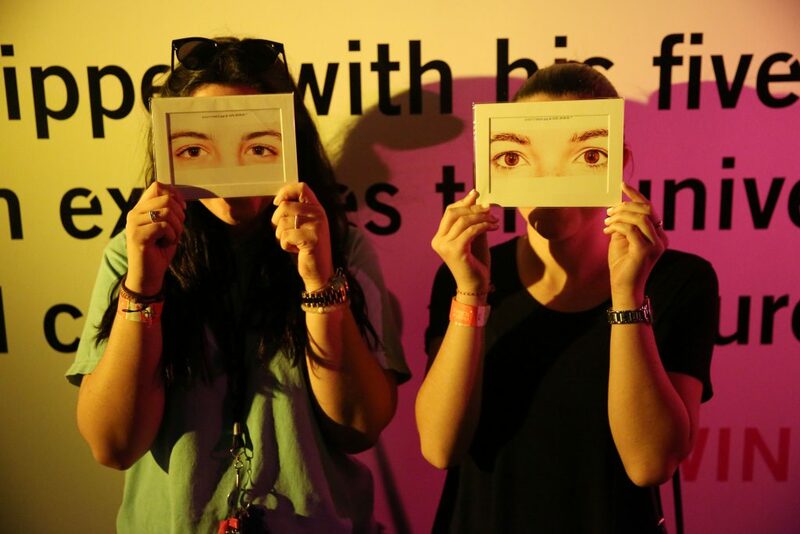 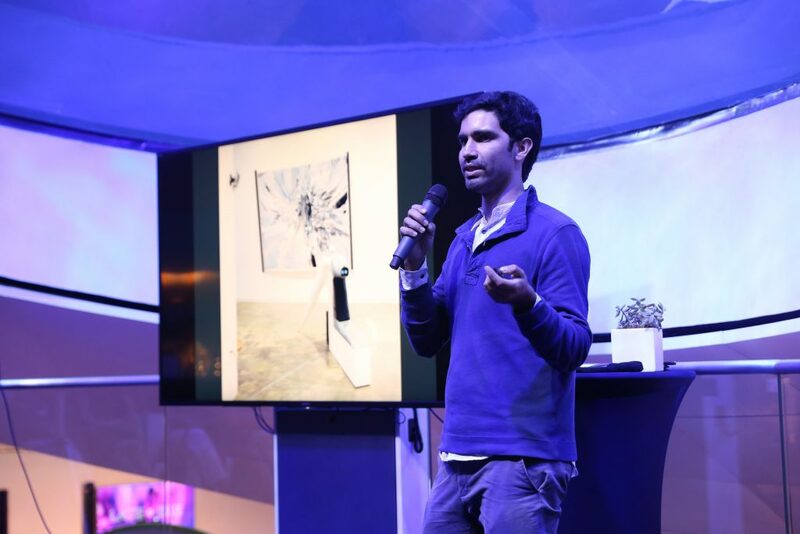 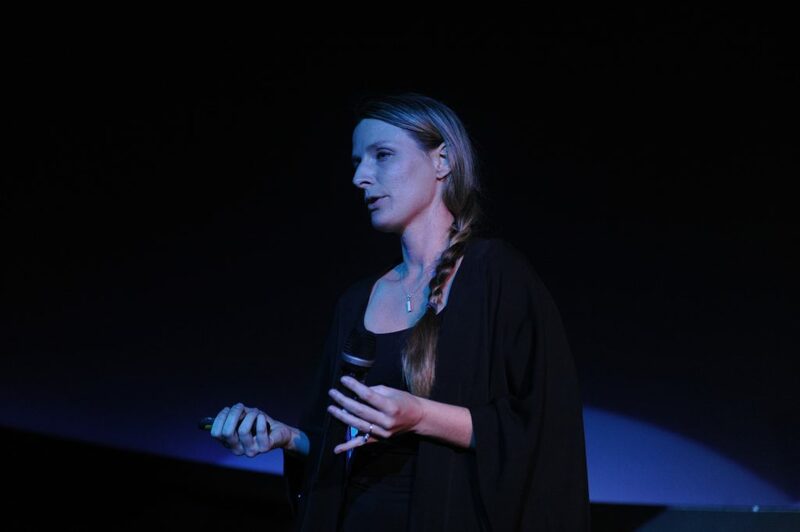 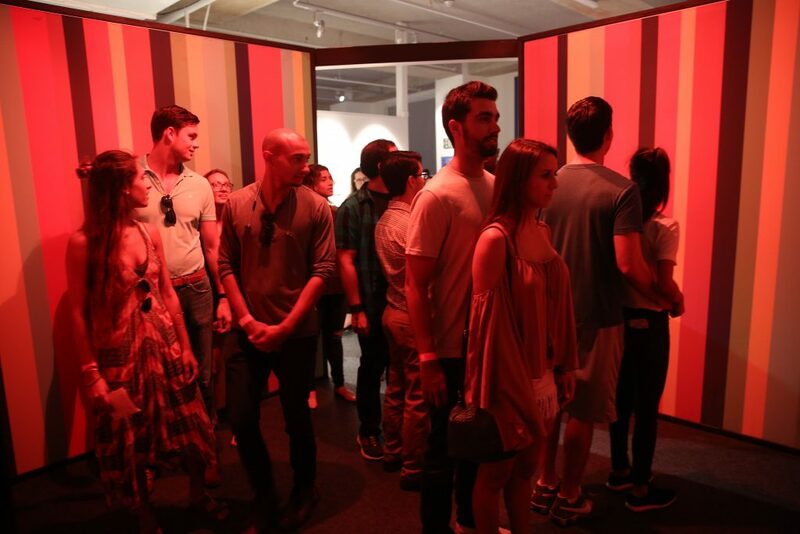 Each event featured special guests, live performances, cocktails, interactive installations by creative partners and mind-bending discussions and panels from the likes of Bascom Palmer’s Dr. Norman Schatz and Dr. Ranya Habash, artists Leo Casteneda and Bridges Aderhold, along with projections from Moonlighter Makerspace. 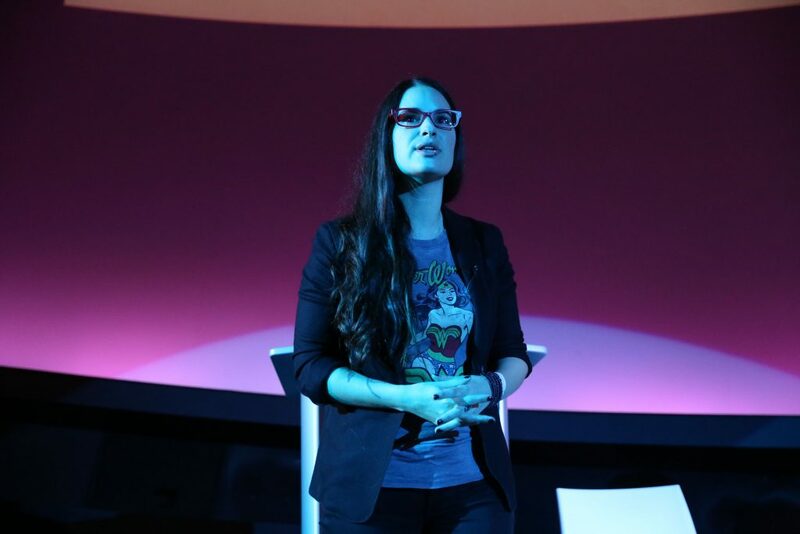 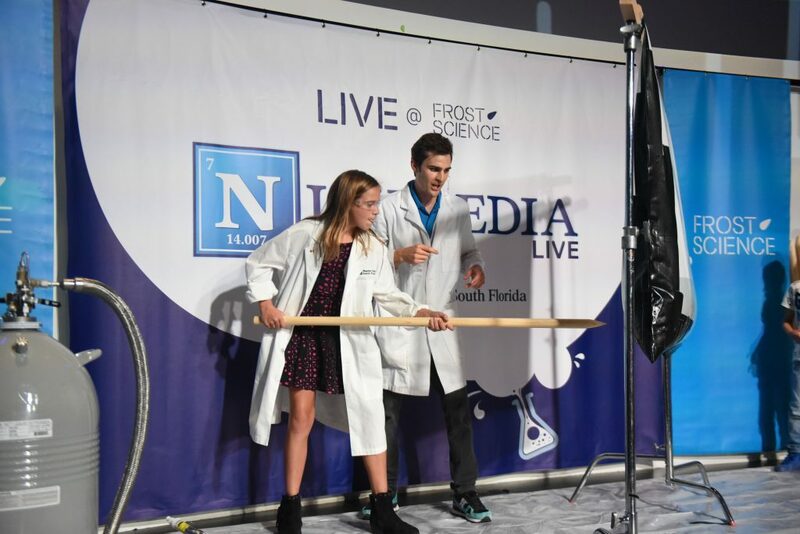 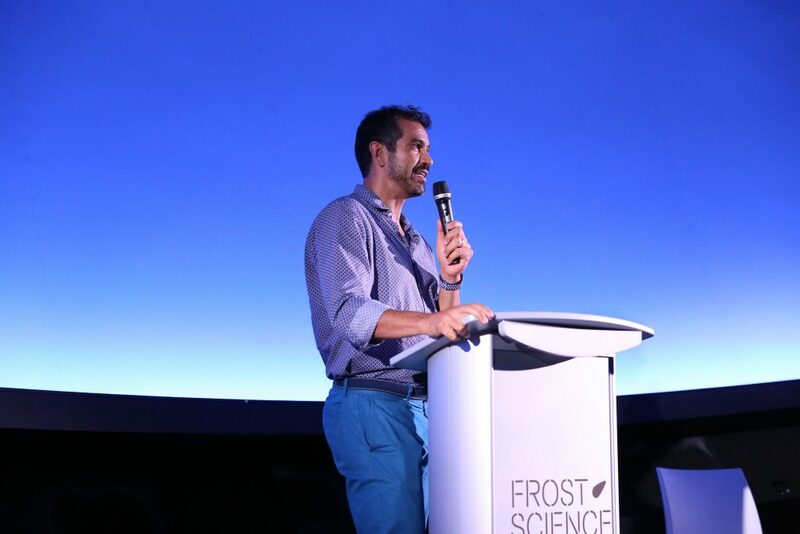 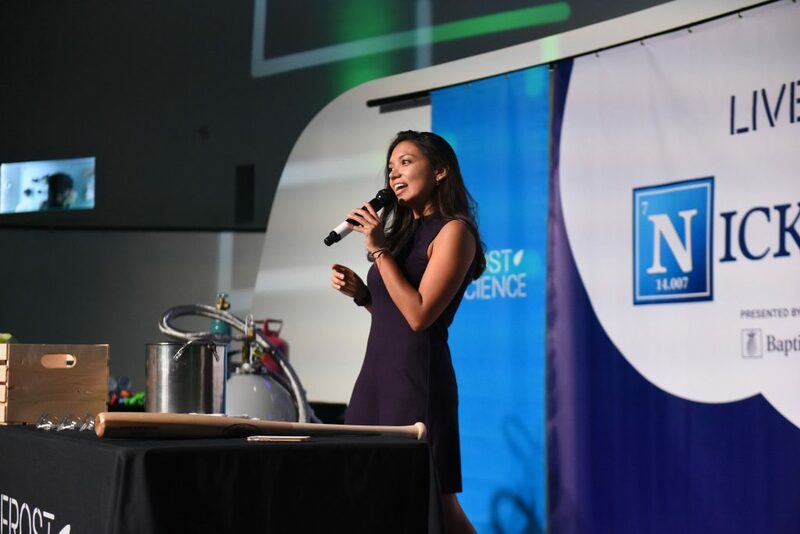 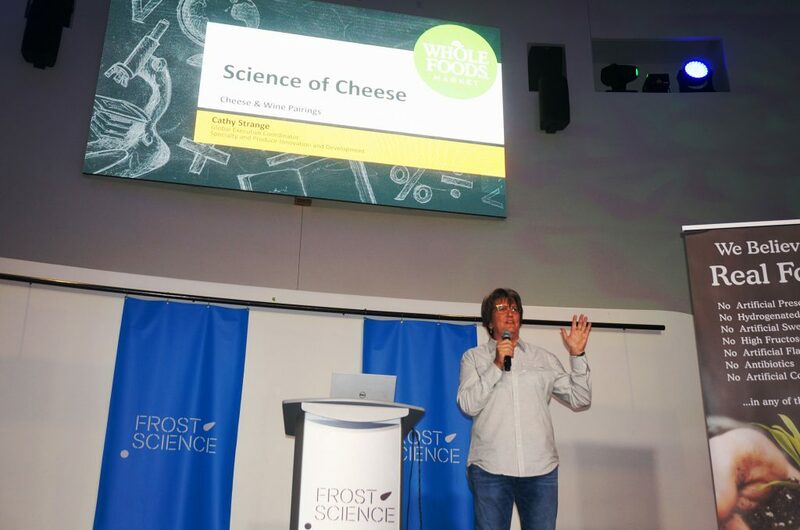 Cara Santa Maria of the Talk Nerdy podcast, YouTube sensation Nick Uhas and author Dr. Wallace J. Nichols were just some of the popular personalities we welcomed to the museum for LIVE@Frost Science, a speaker series shedding a new light on how we experience and understand science. 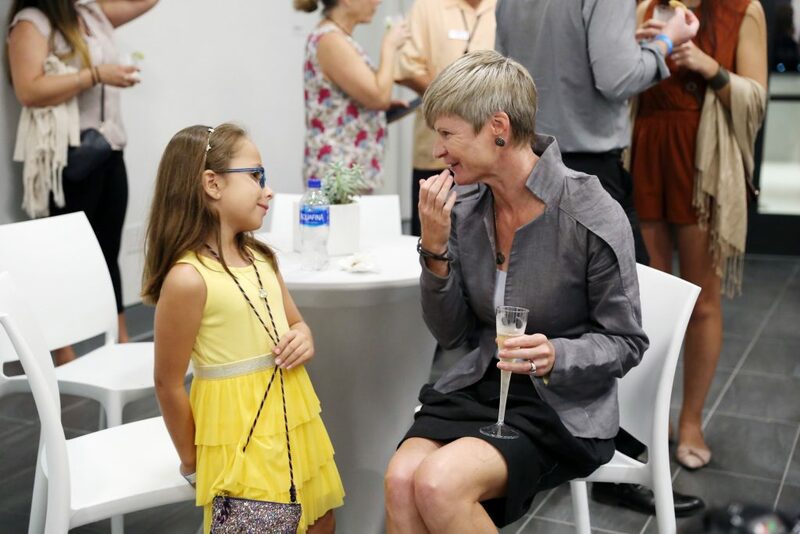 Most of the events in our series welcomed sold-out crowds who were able to mix-and-mingle with each other prior to the event. 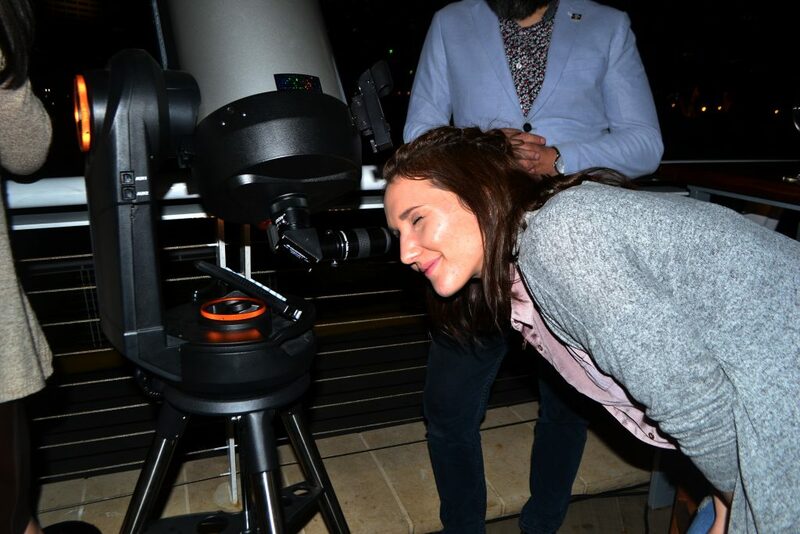 Last year’s solar eclipse broke attendance records for Frost Science, with over 8,500 guests gathering on our campus to view this amazing celestial event. 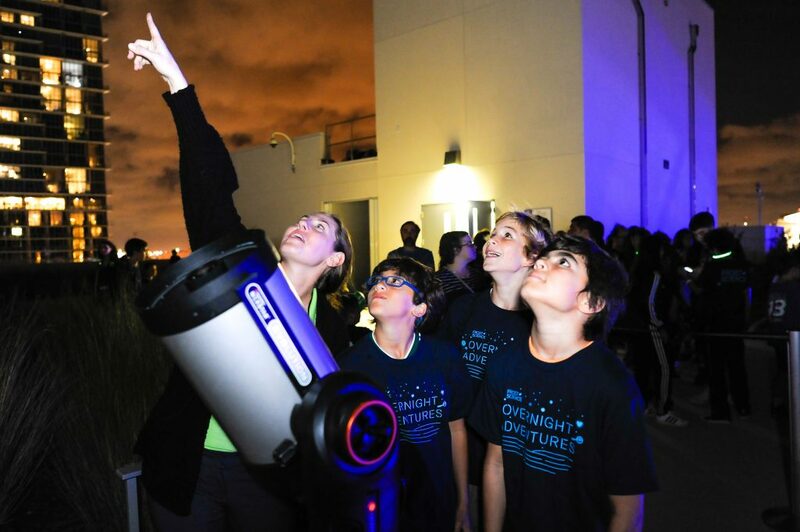 On August 21, South Florida saw an impressive 80% totality as the moon shadowed the sun. 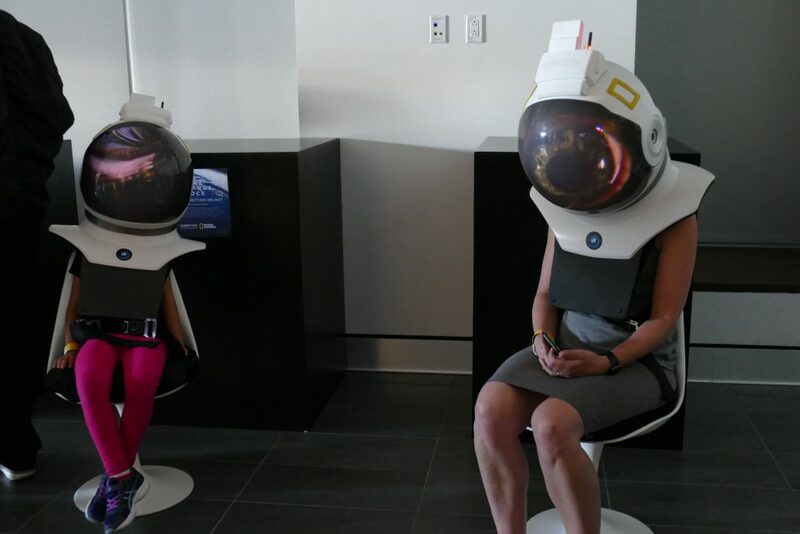 The awe-inspiring sight was witnessed by locals donning our special edition Frost Science solar eclipse glasses. 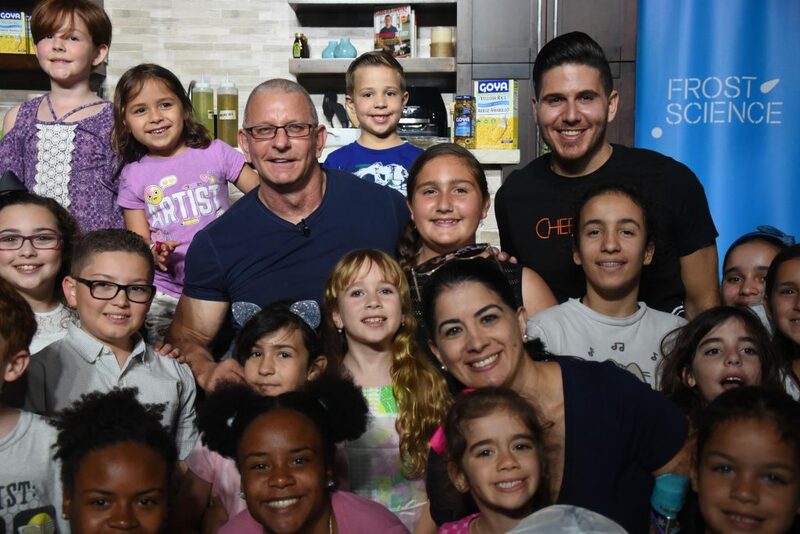 As part of our commitment to make science-learning accessible to everyone no matter age, background or ability, we launched “Just for Me” mornings. 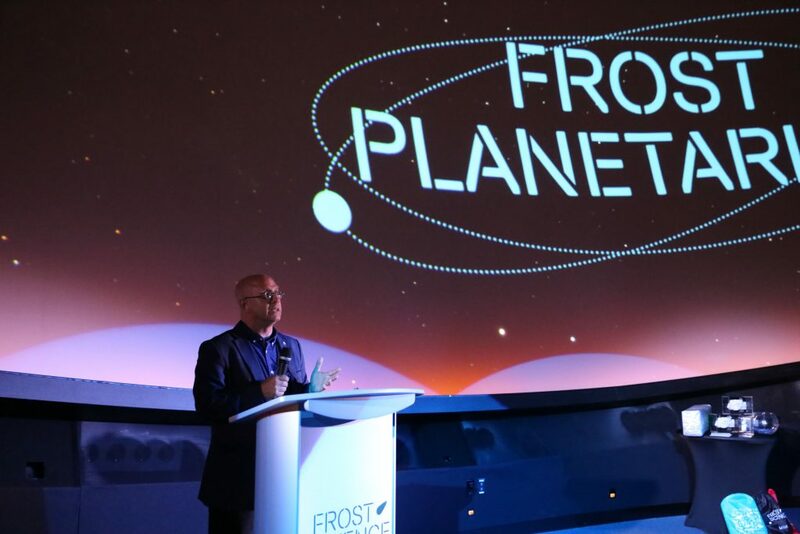 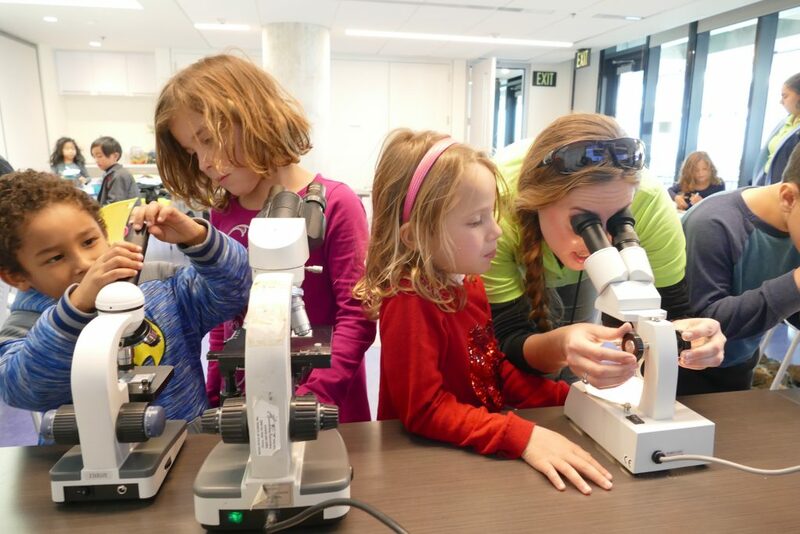 The program welcomes individuals and families with special needs to explore the world of Frost Science in a quiet, comfortable and accepting environment. 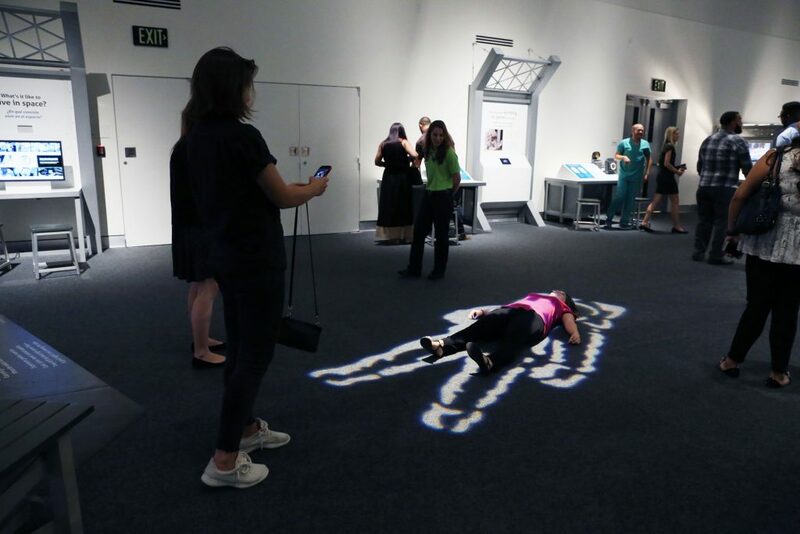 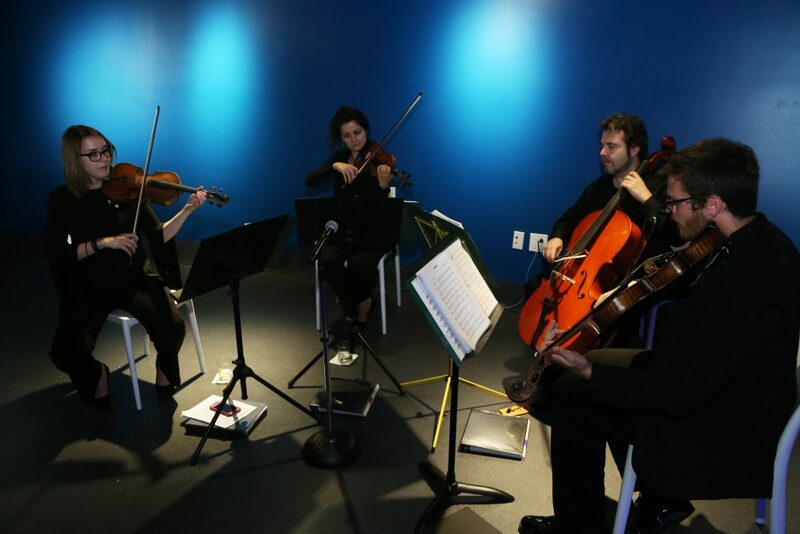 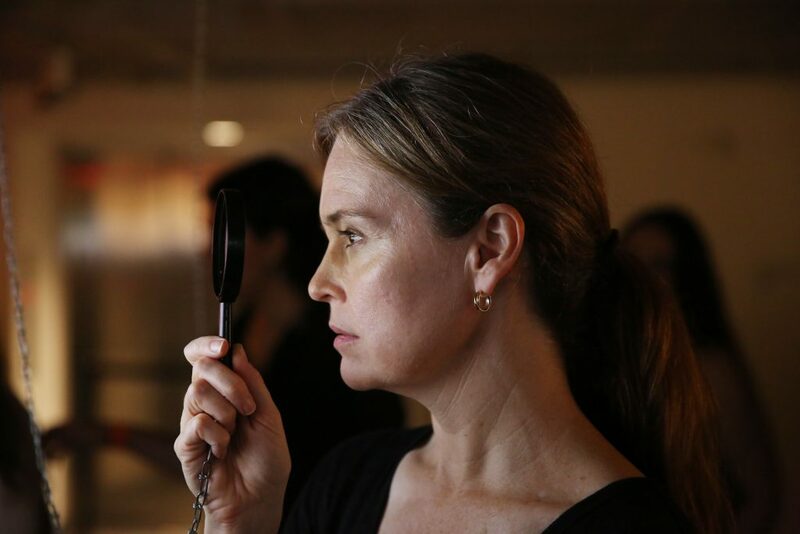 Just for Me includes a sensory modified setting, limited admission and sound/lighting adjustments throughout the museum and has changed the way different exhibitions can be explored throughout our space. 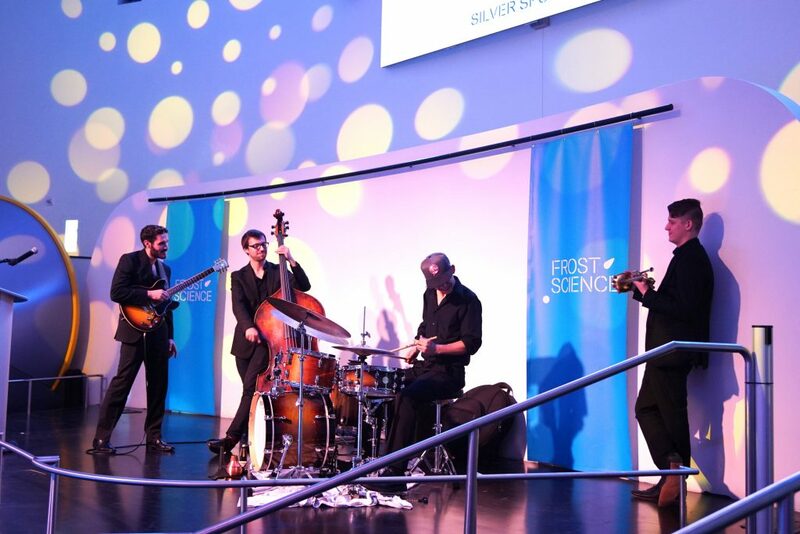 Over 900 revelers roamed the Frost Science campus at night during one of our largest fundraisers of the year. 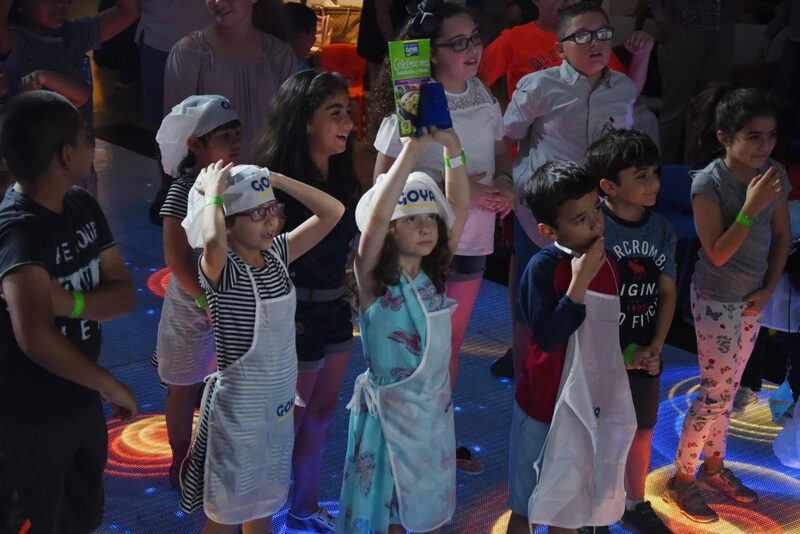 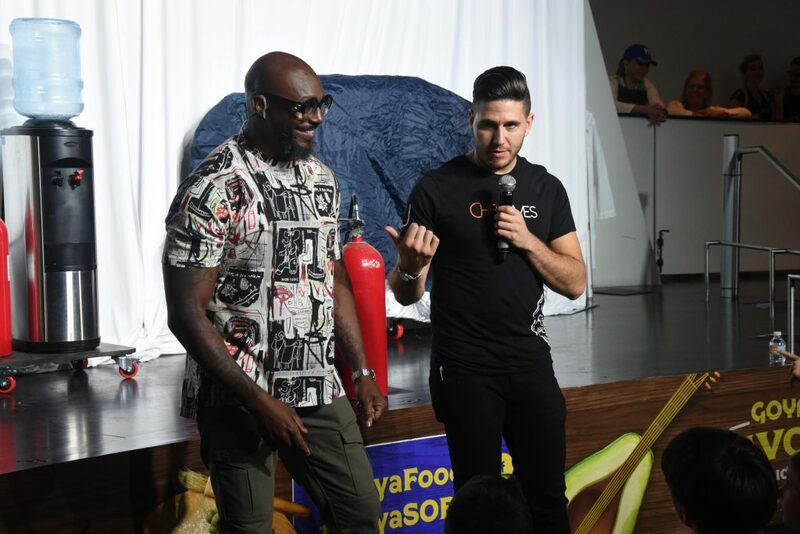 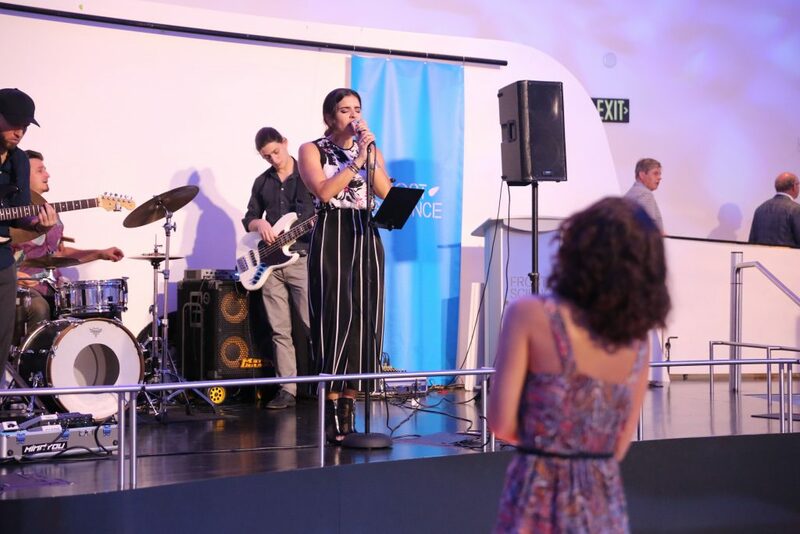 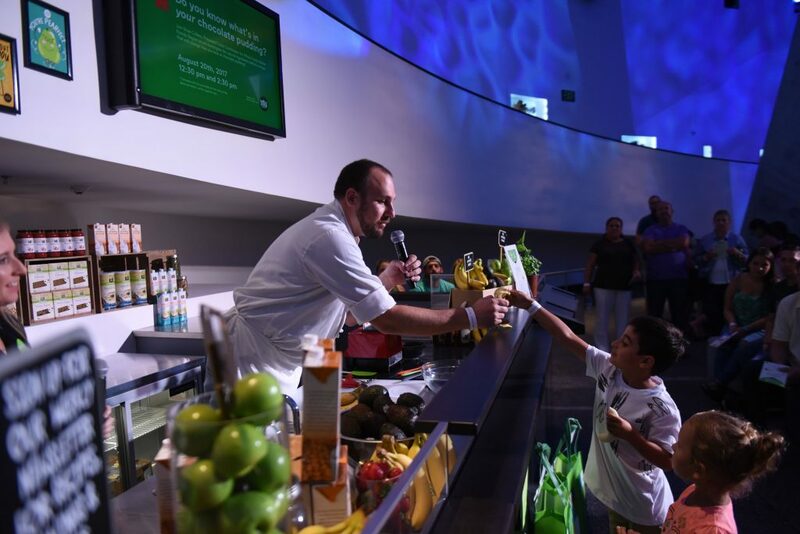 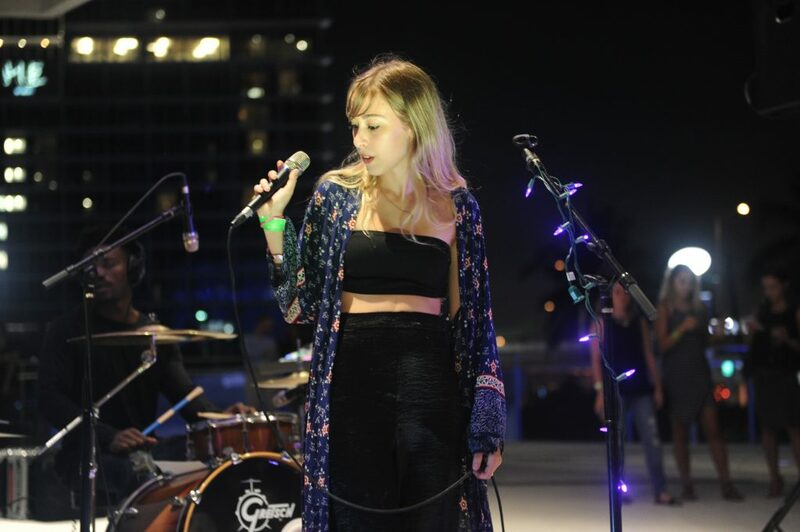 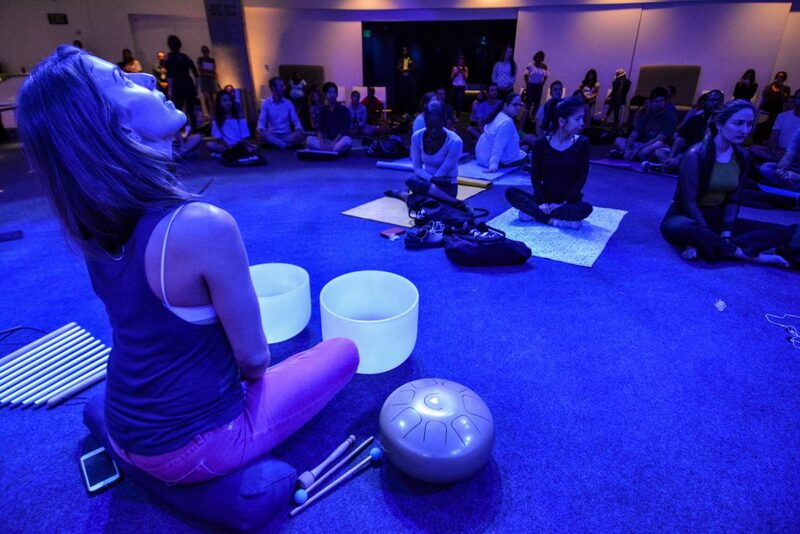 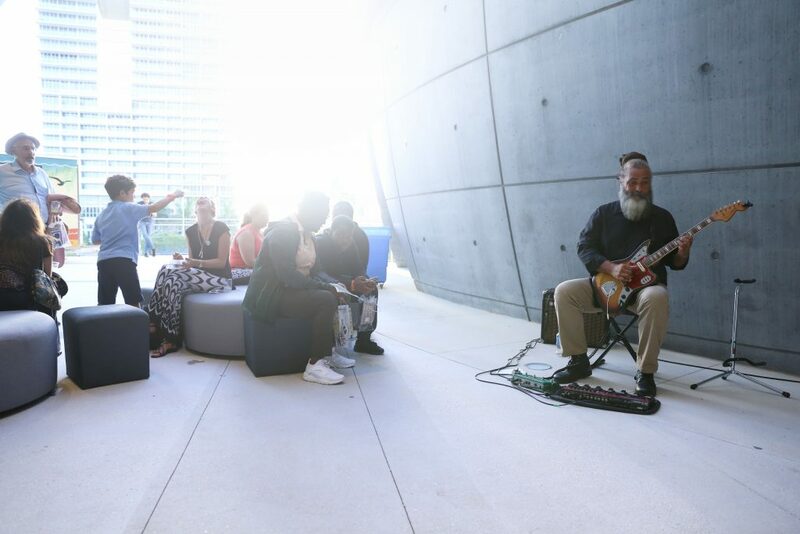 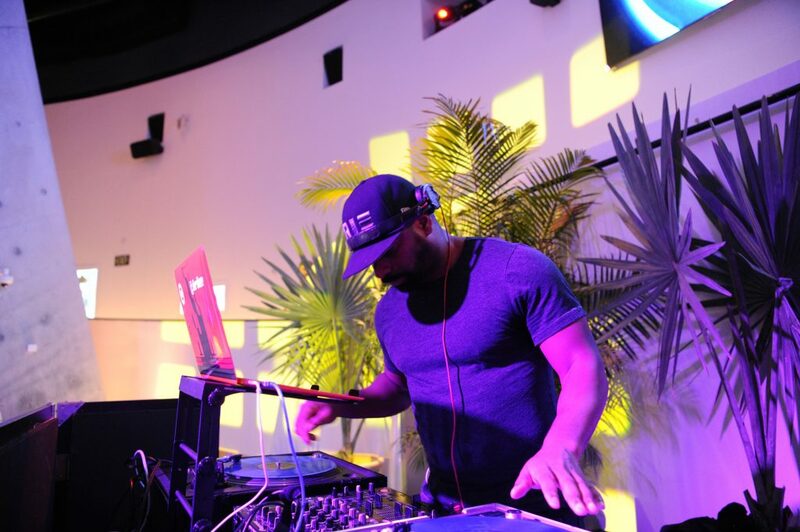 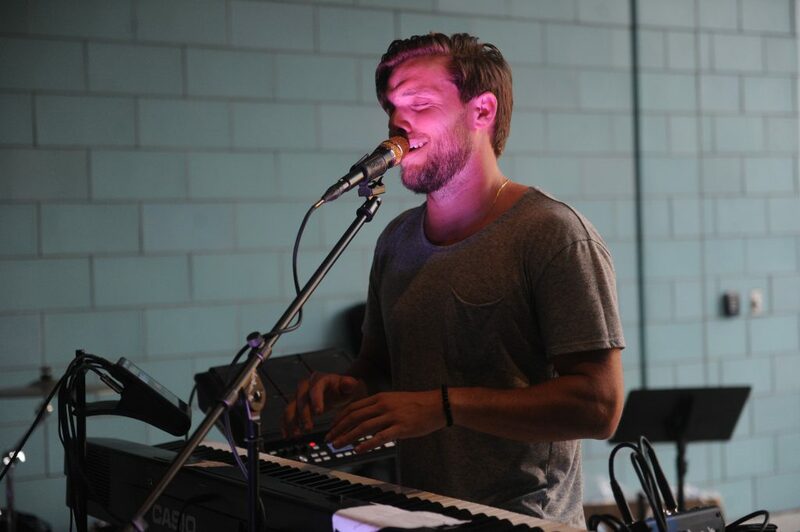 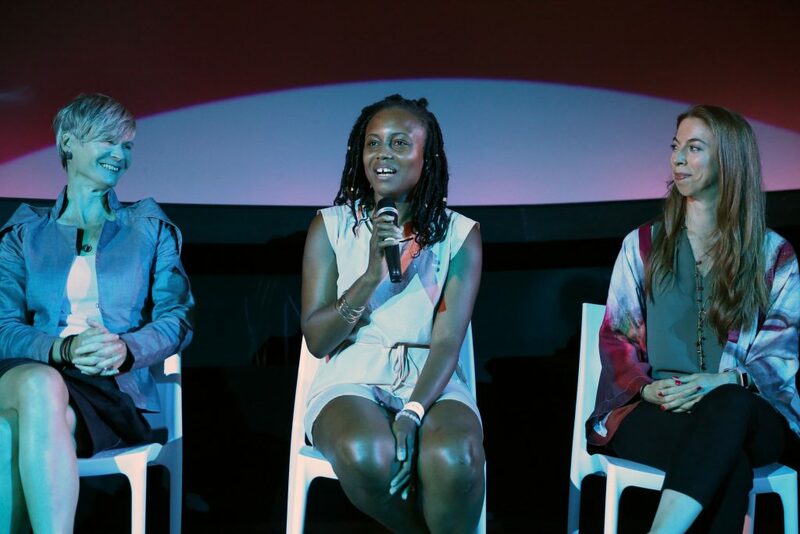 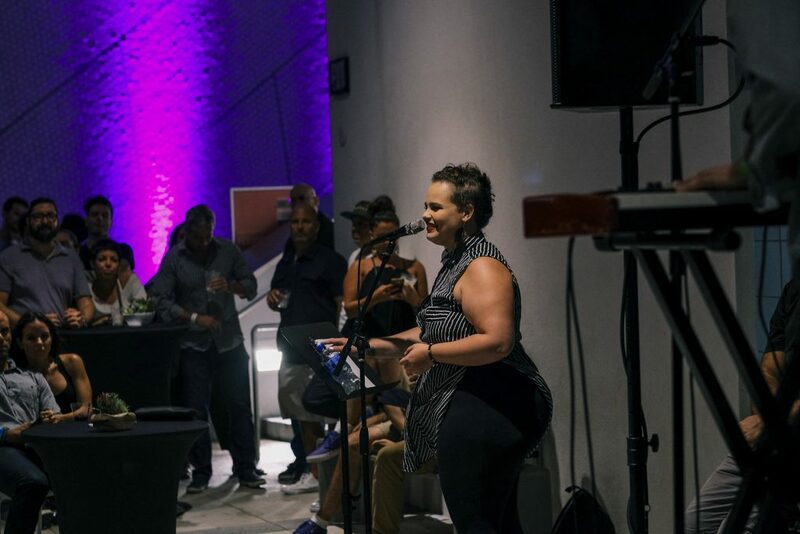 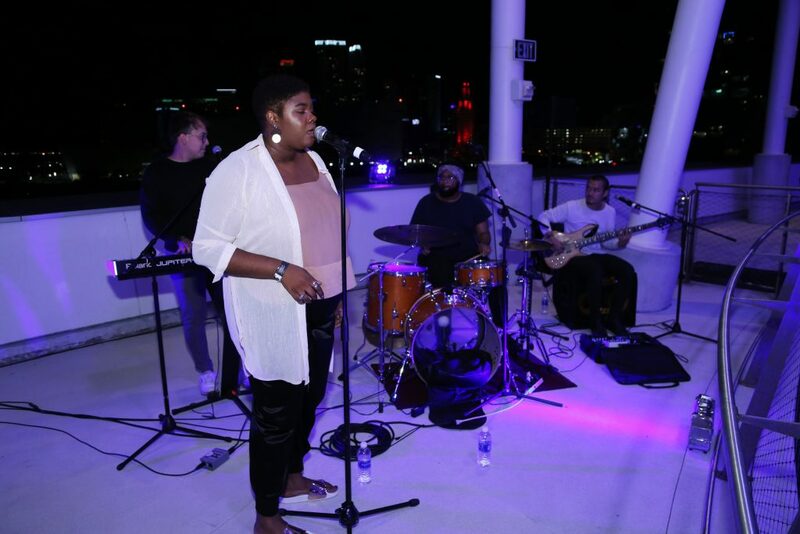 Hosted by our Young Patrons, guests explored the dynamics of sound through live performances by the Frost School of Music, The Love Below, DJ Le Spam and a show-stopping set by locally-renowned DJ, IRiE. 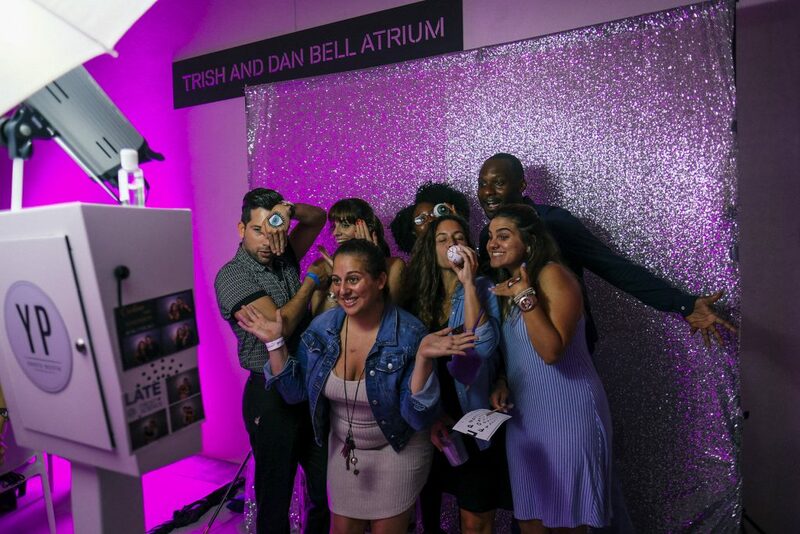 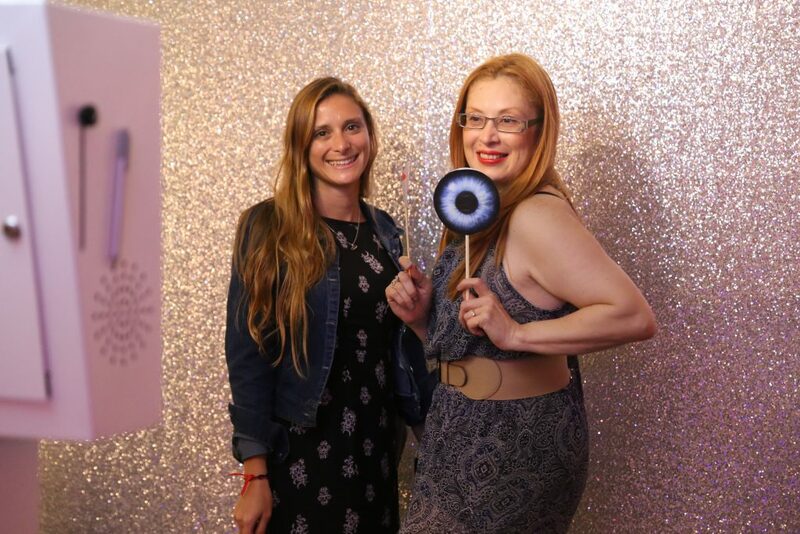 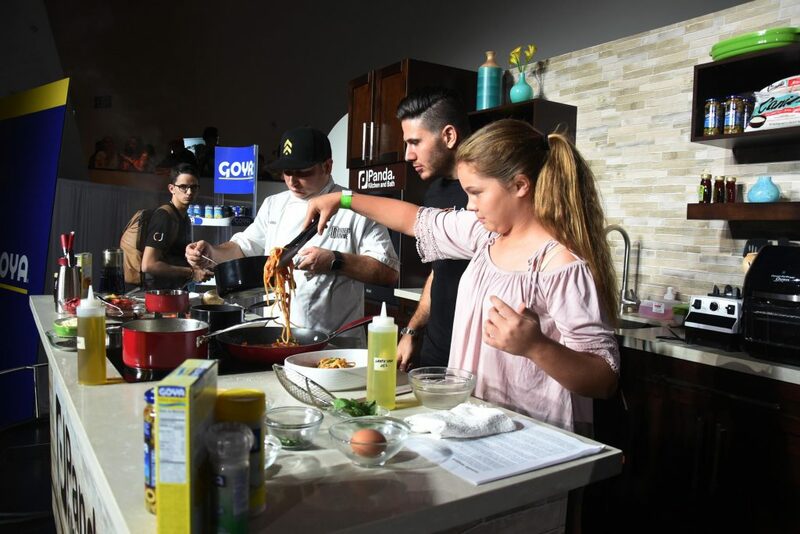 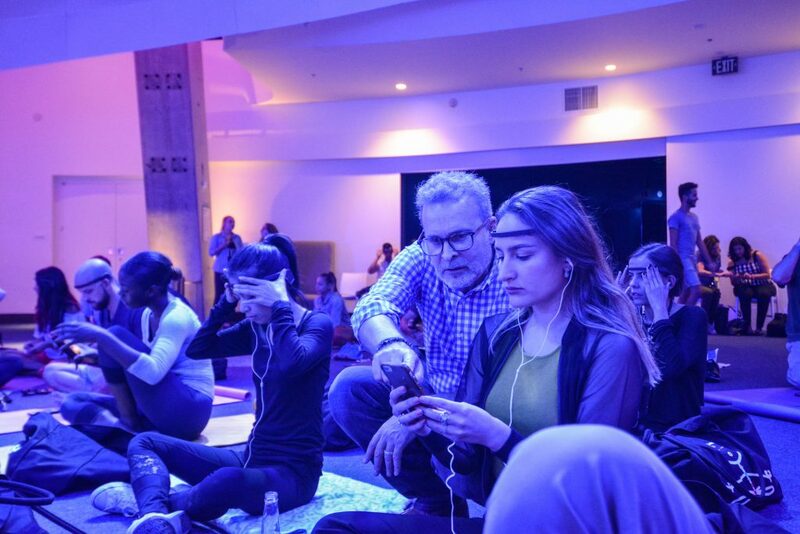 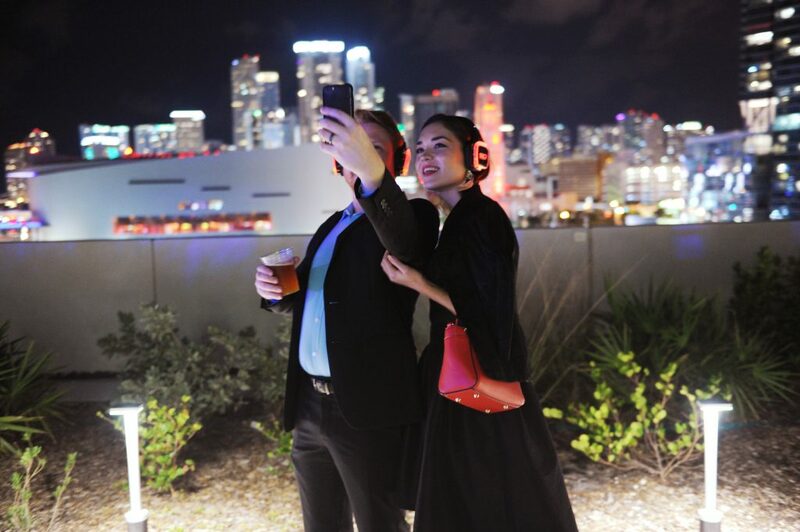 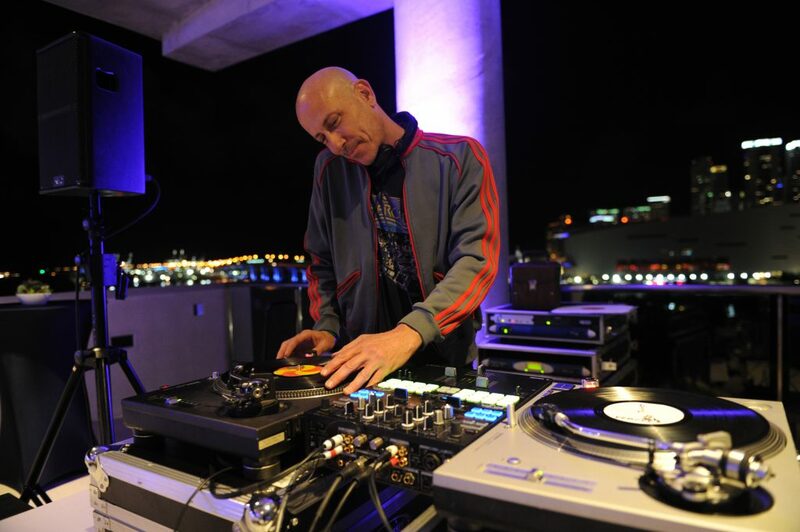 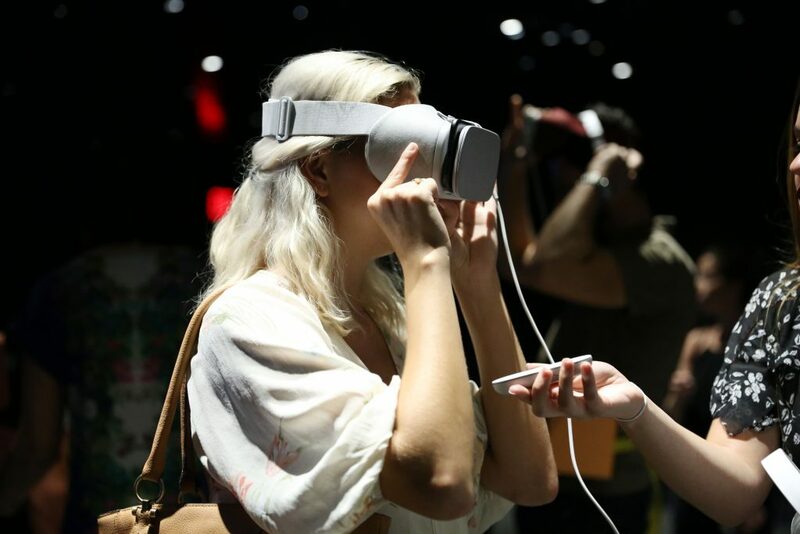 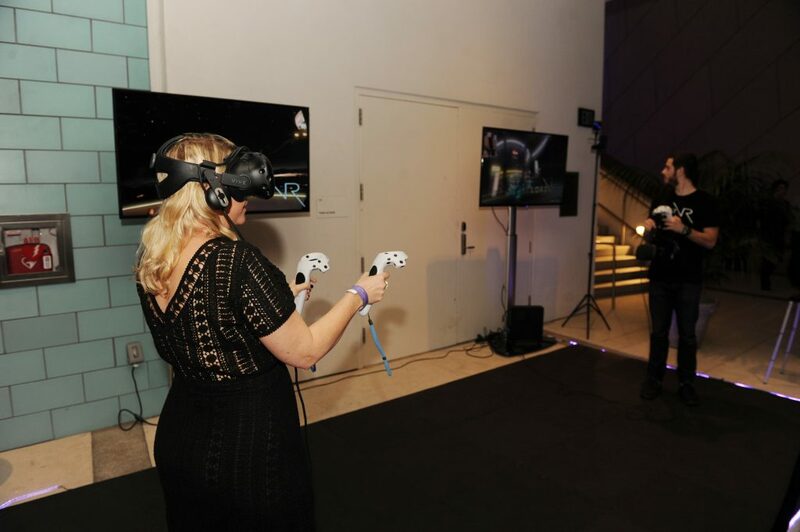 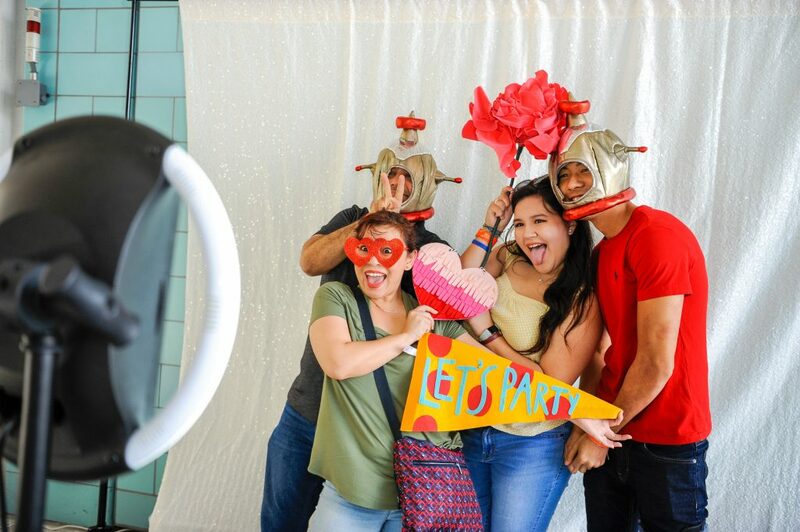 After donning headphones for a Silent Disco and snapping pics in a “Neo-Odyssey” photo booth, guests were treated to drinks and bites from over 30 of the city’s finest eateries. 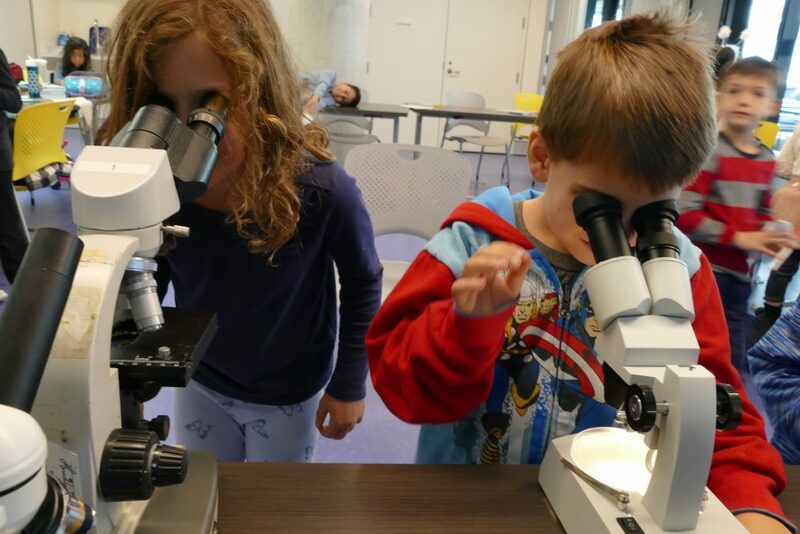 In a Frost Science first, we decided to invite the community to pack their pajamas and join us for a sleepover inside the museum! 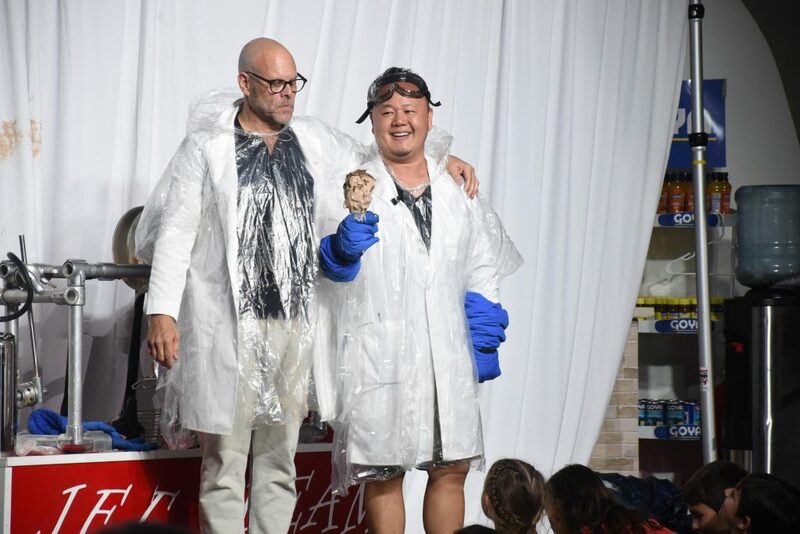 The program has been a hit with the community—each evening has been a sell-out success with excited families and youth groups. 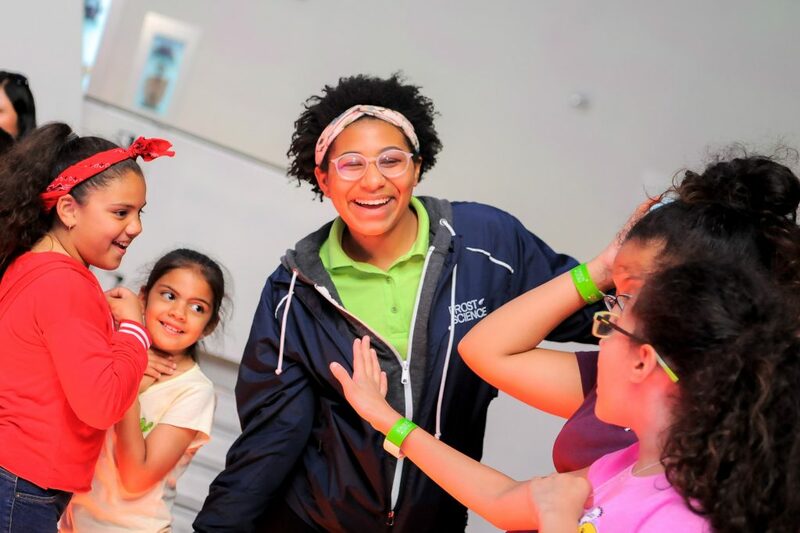 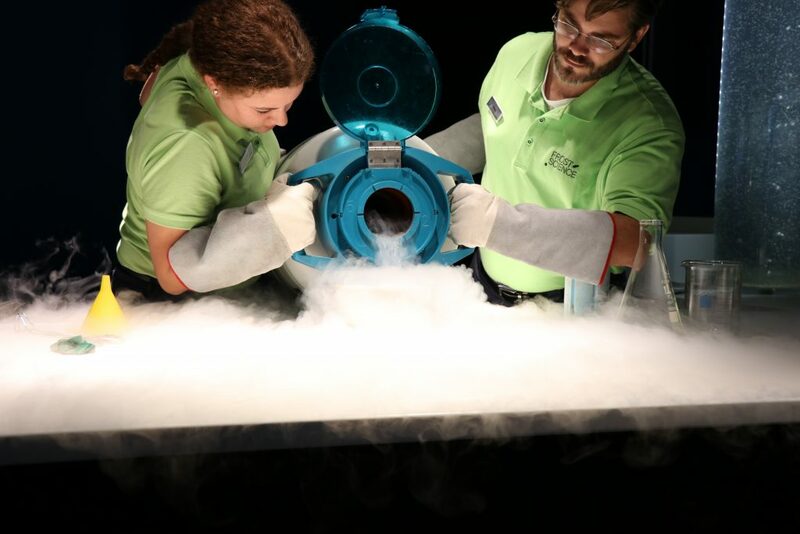 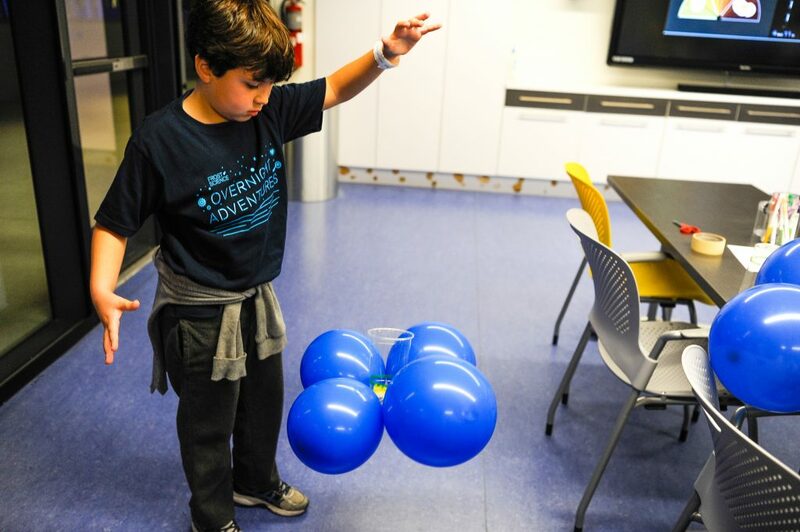 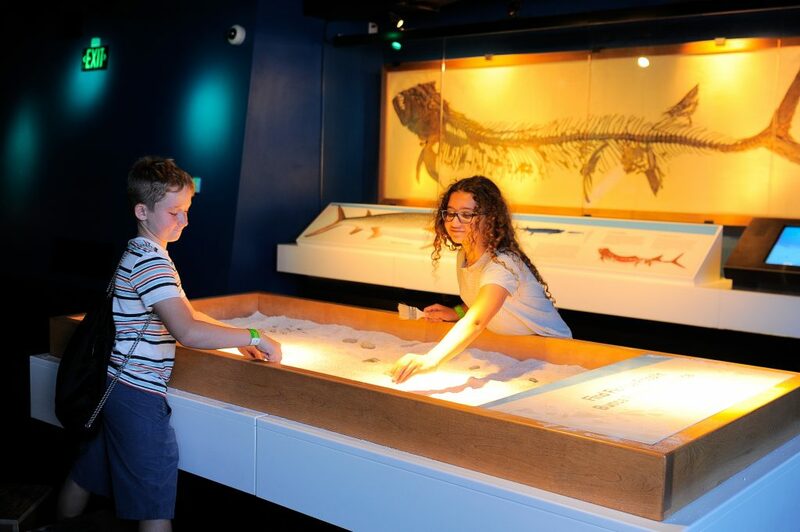 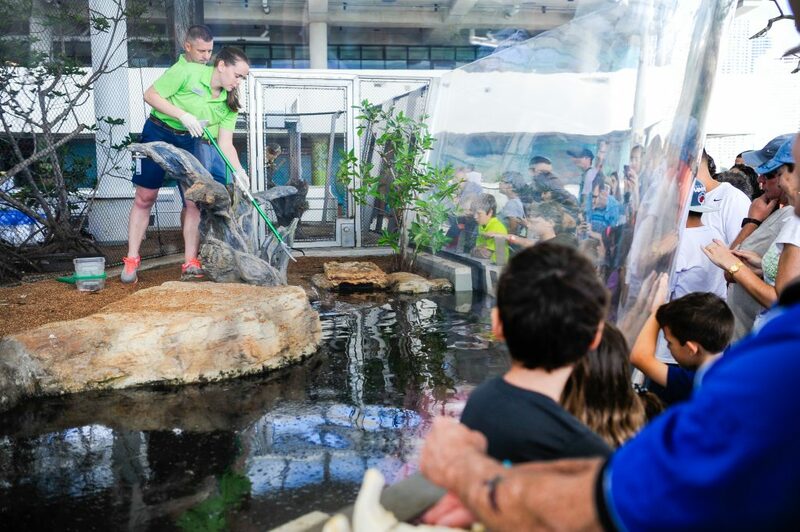 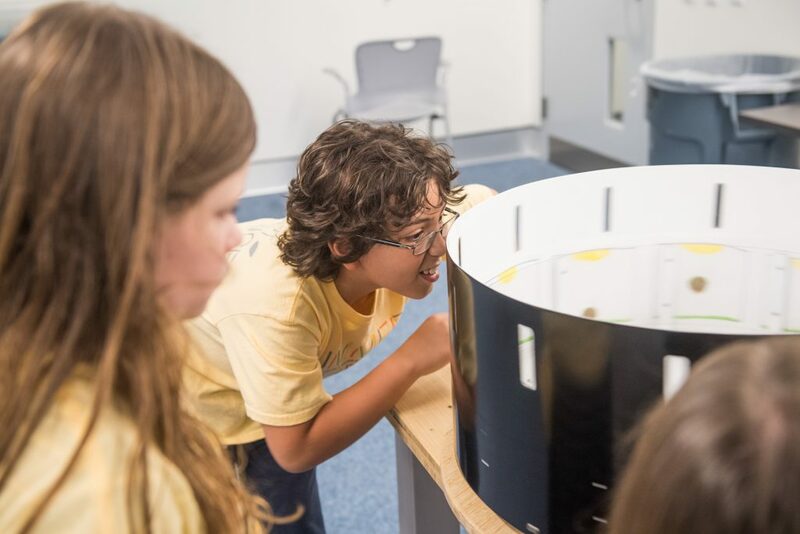 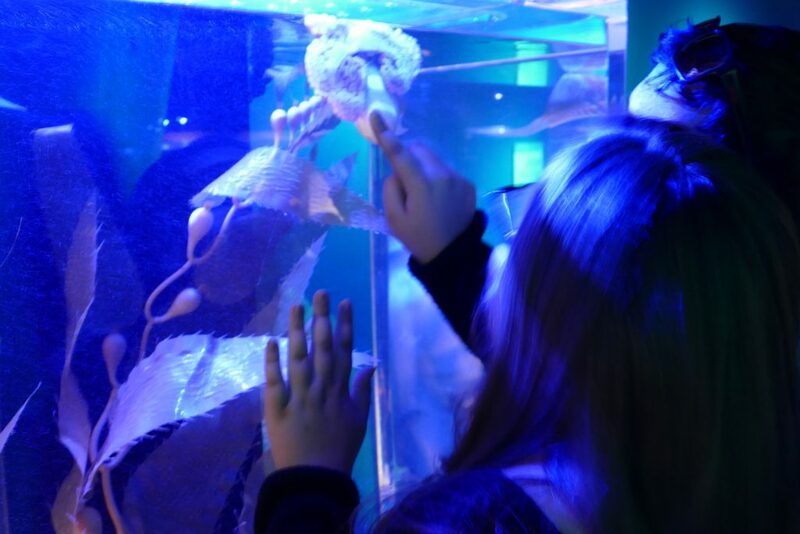 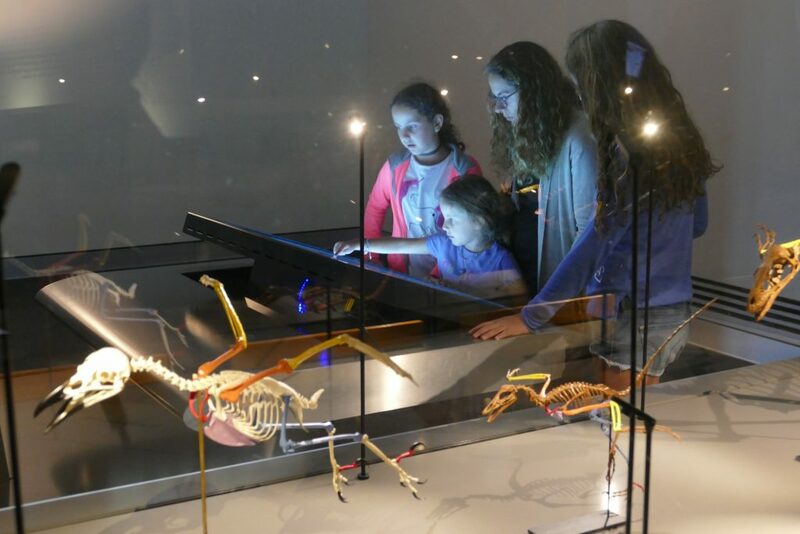 During each Overnight Adventure, our campers explore special exhibitions, take part in live science demos and fill up on a savory dinner before calling it a night and departing the next morning with a get-up-and-at-‘em breakfast. 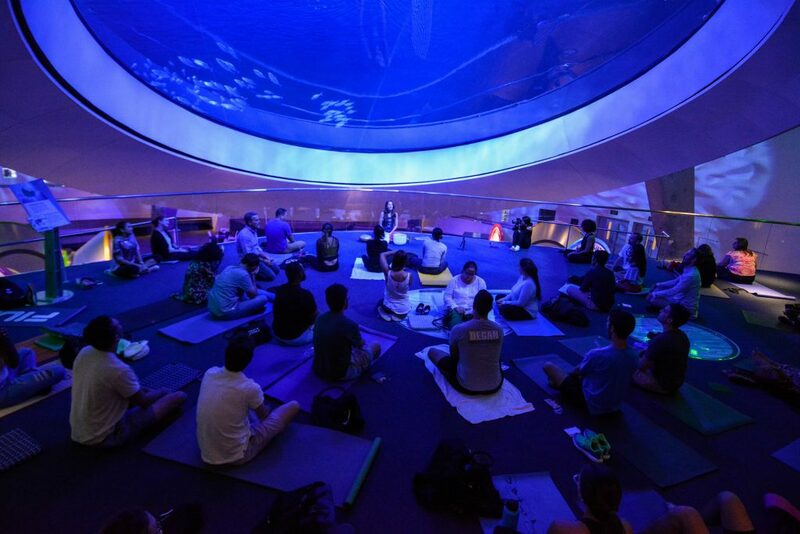 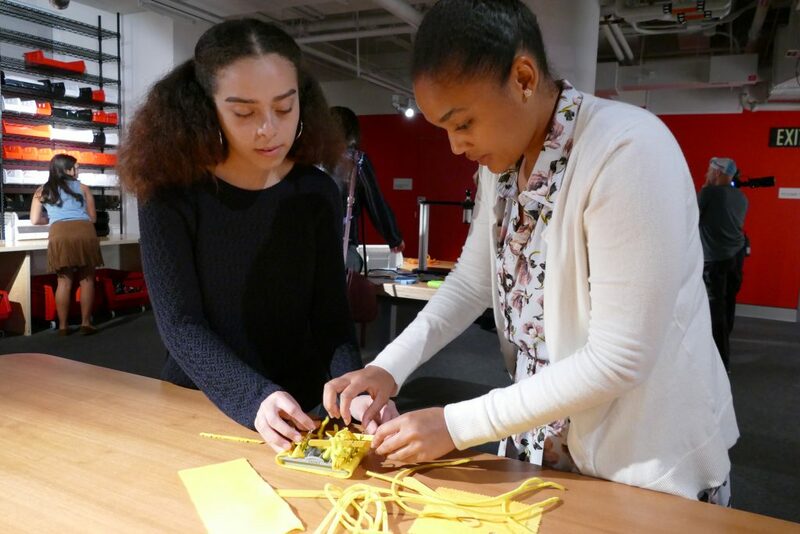 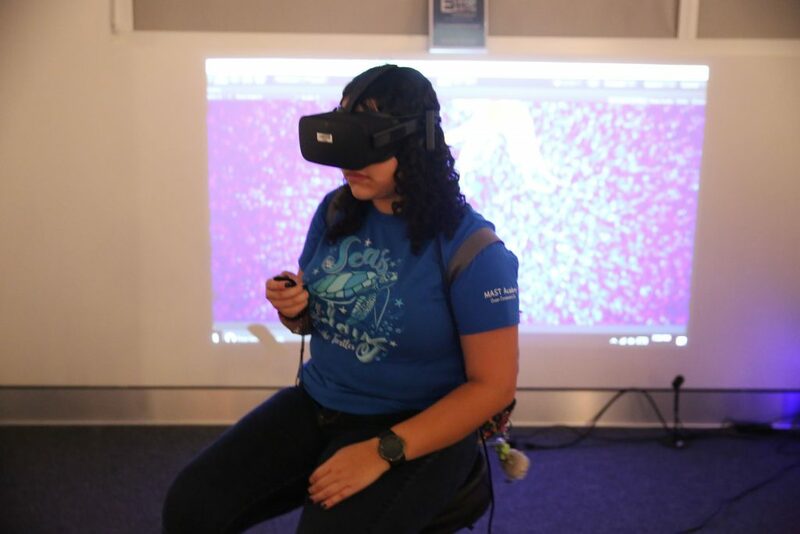 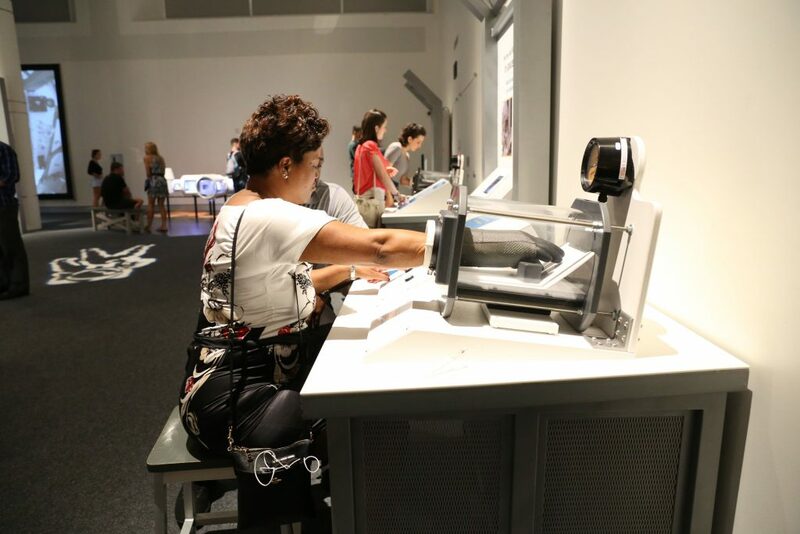 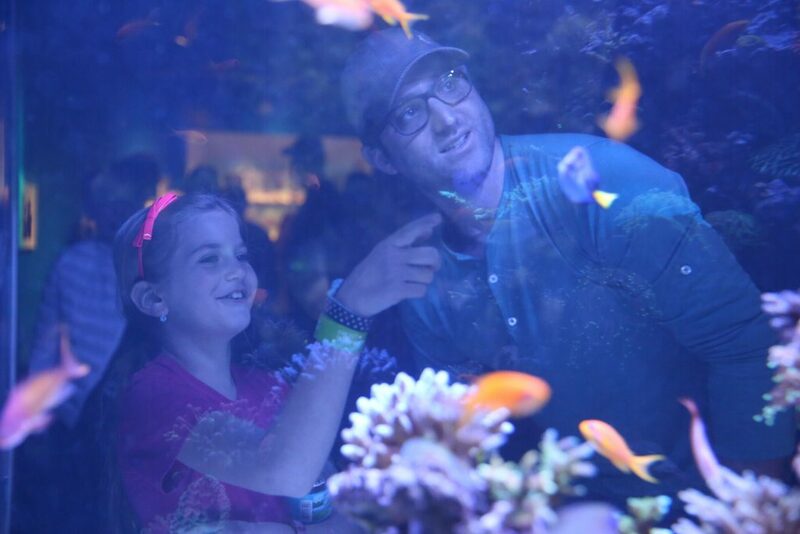 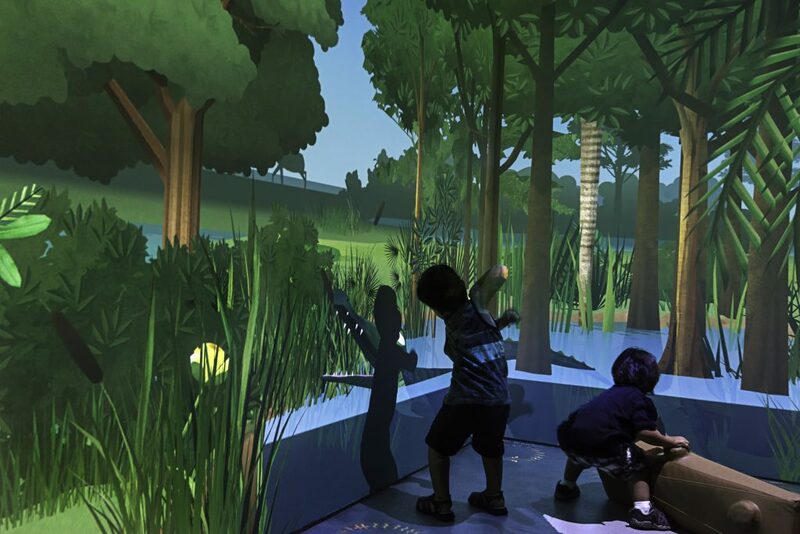 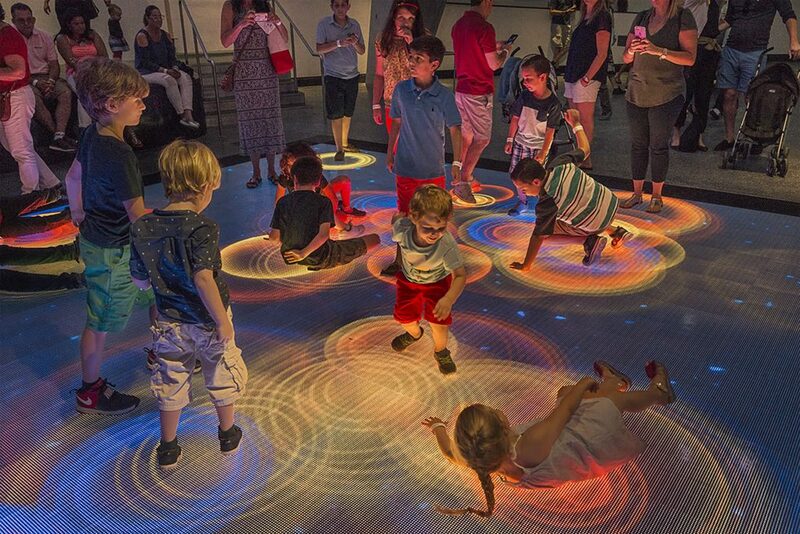 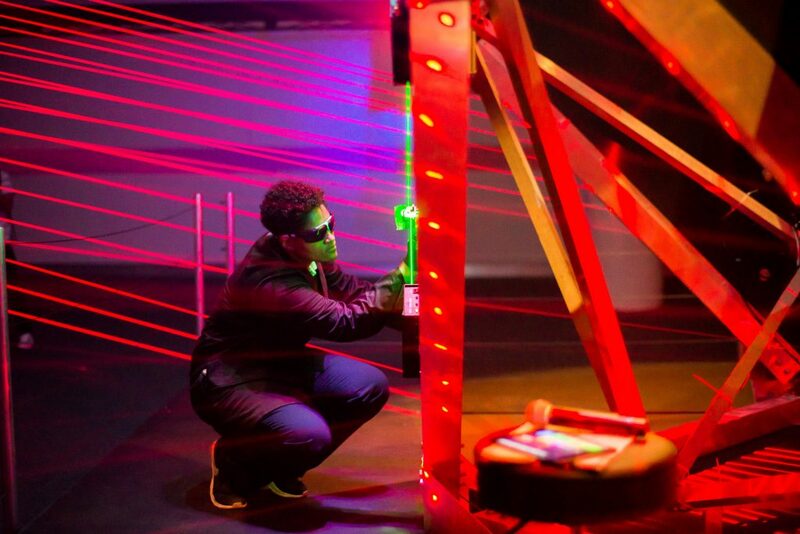 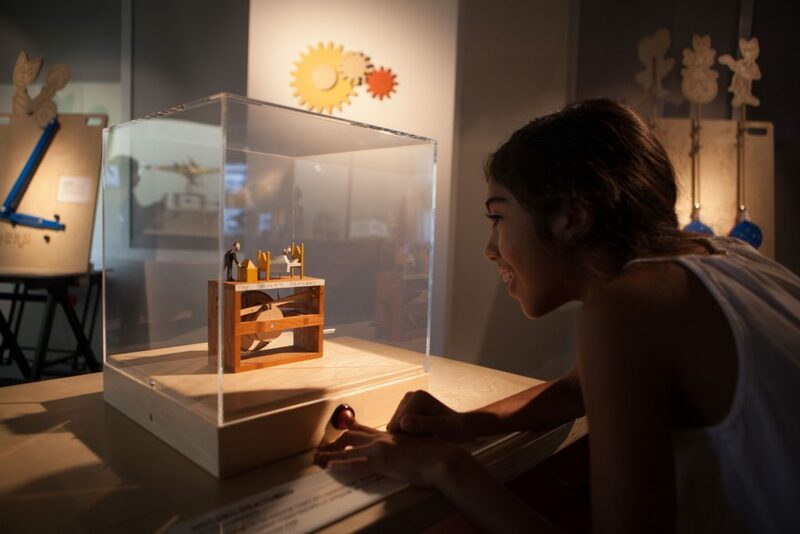 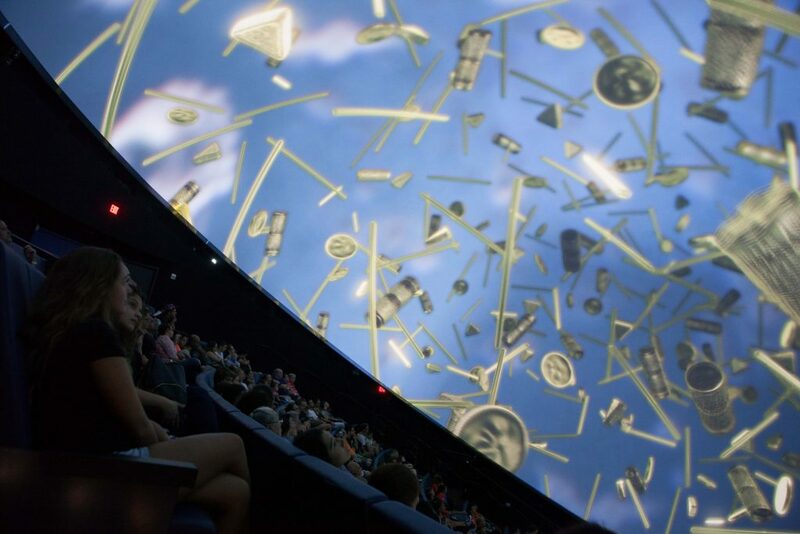 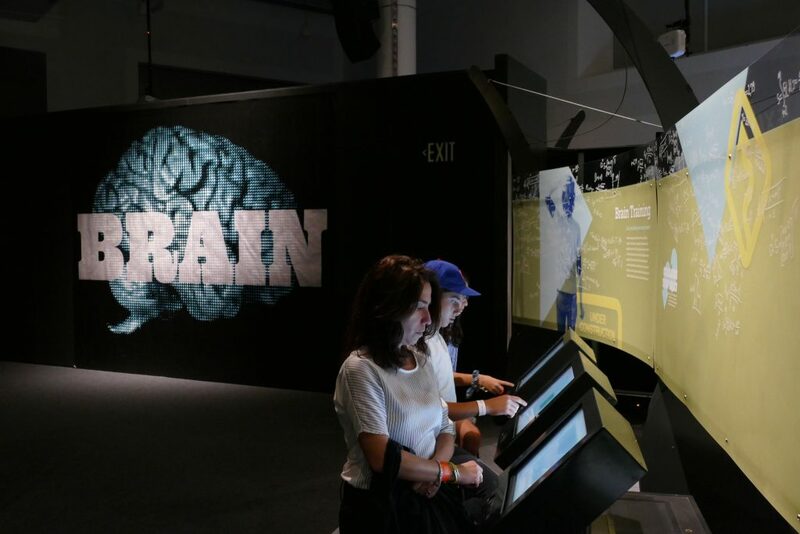 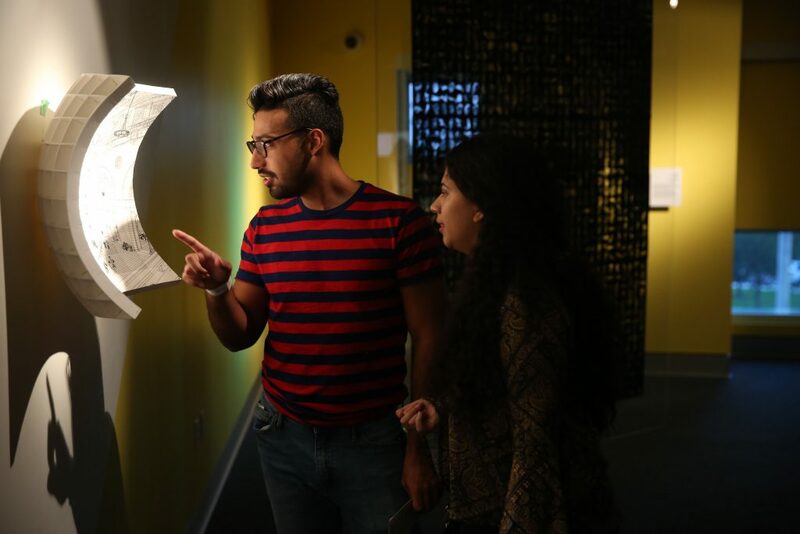 Along with our permanent exhibitions, we hosted six traveling exhibitions this year, with an impressive first-year roster that included LASERsHOW, Seeing: What Are You Looking At, Space: An Out-of-Gravity Experience, Brain: The Inside Story, The Mechanicals and Monster Fish: In Search of the Last River Giants. 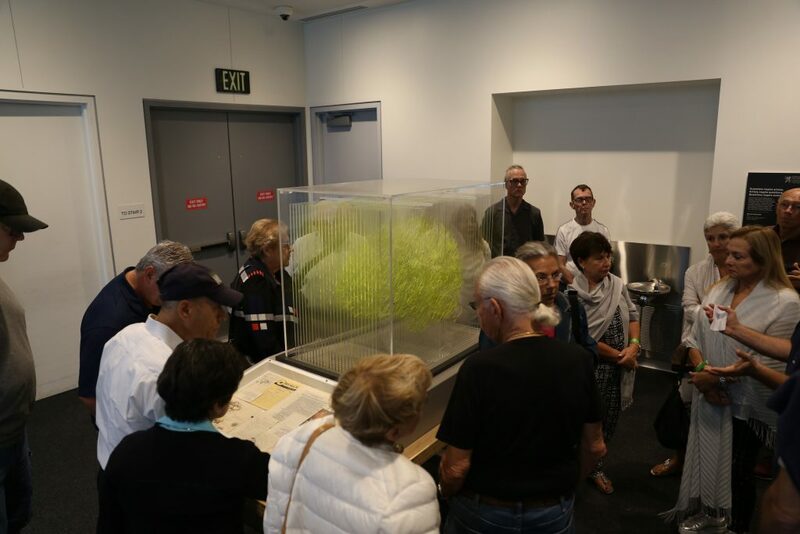 The past year has seen an impressive roster of special members-only events, including previews of our newest exhibitions (including our upcoming evening for The Power of Poison) and morning/evening gatherings exclusively for our members every single month. 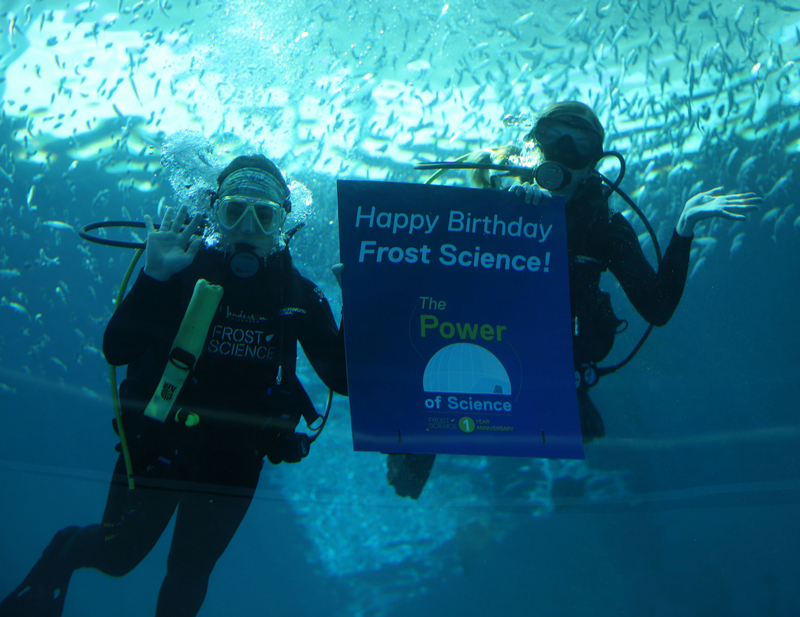 And there’s plenty more happening at Frost Science in the year to come! 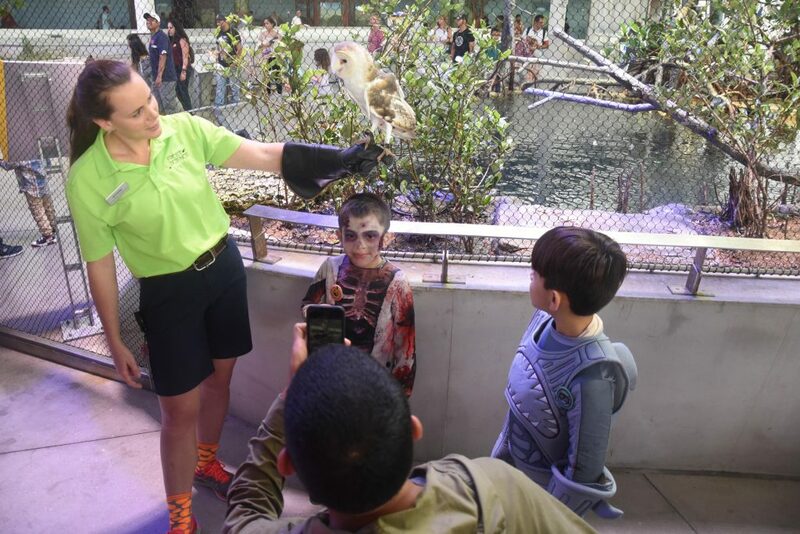 Be sure to visit our calendar of events for more details on our schedule.